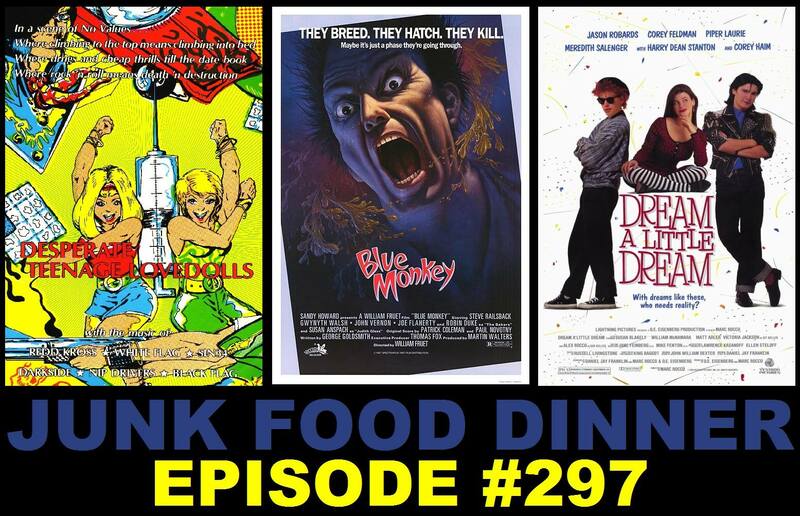 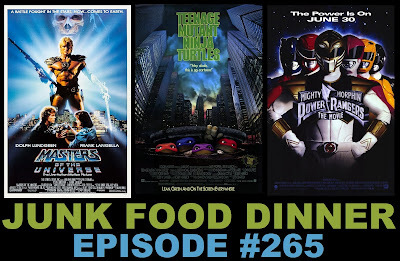 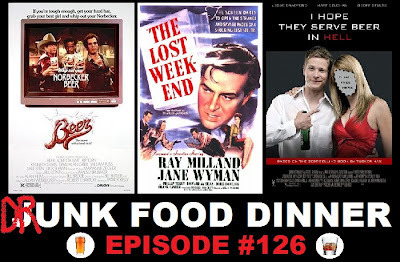 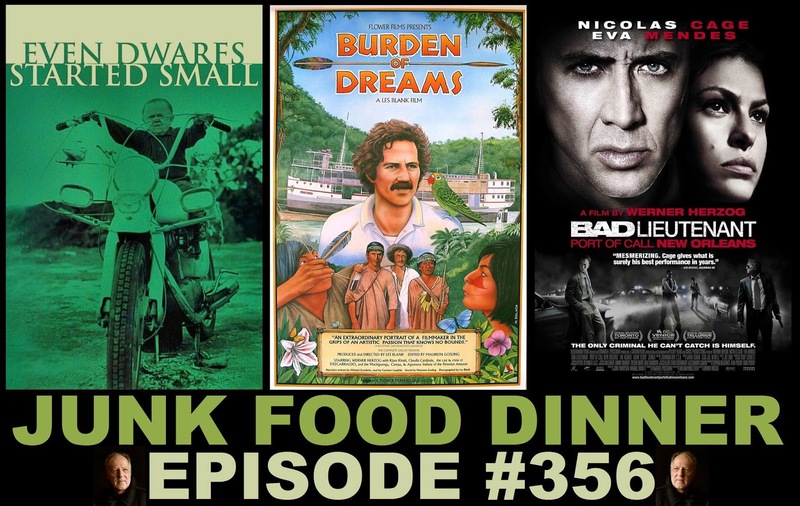 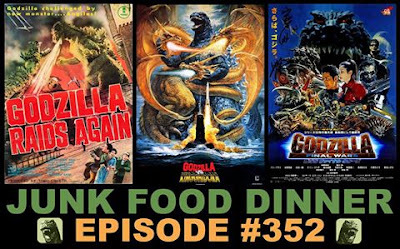 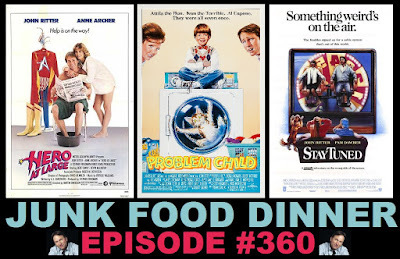 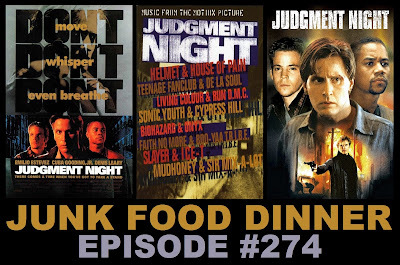 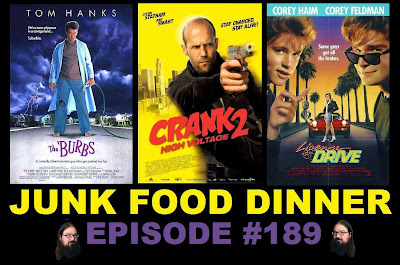 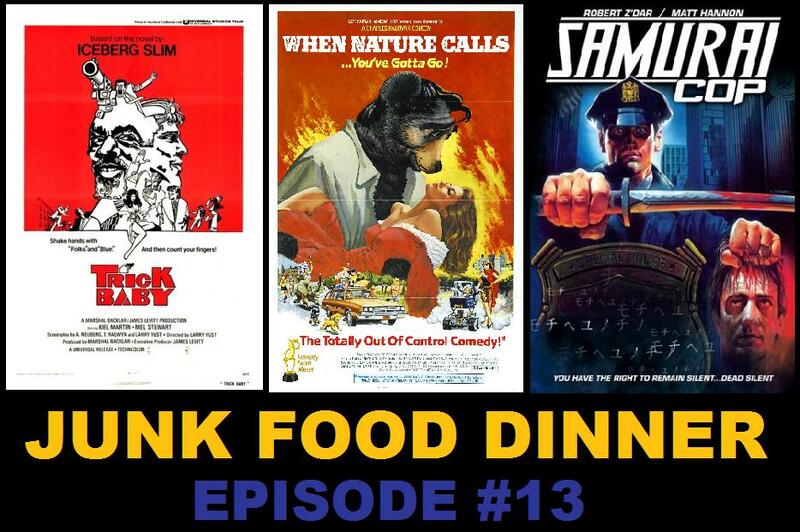 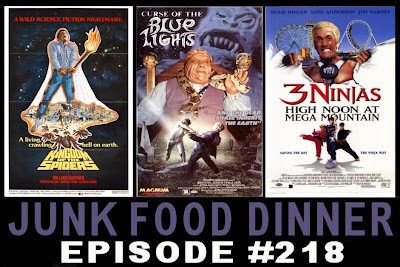 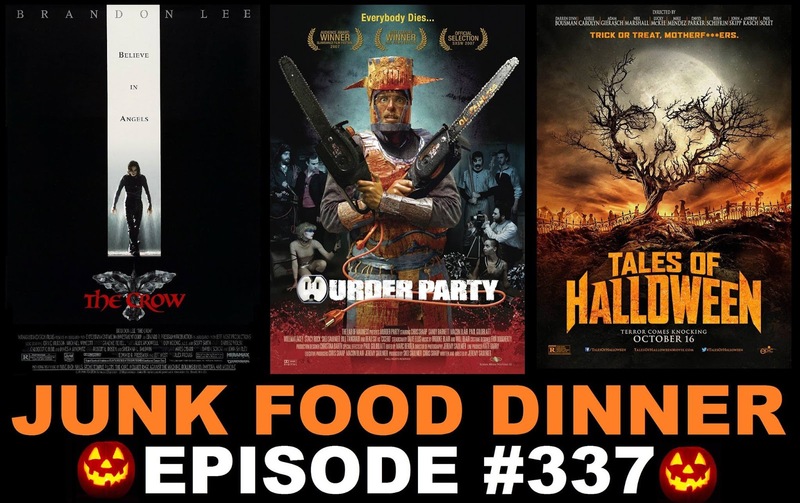 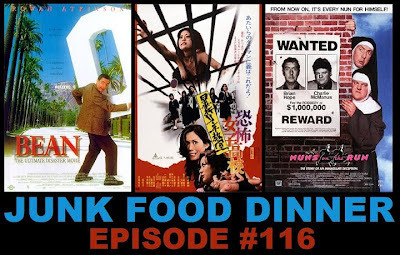 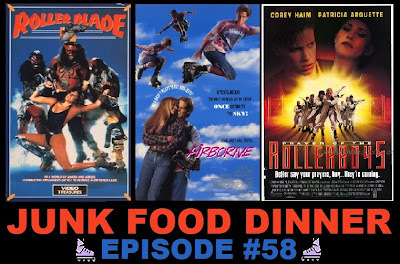 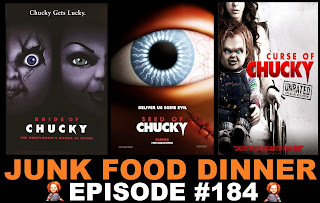 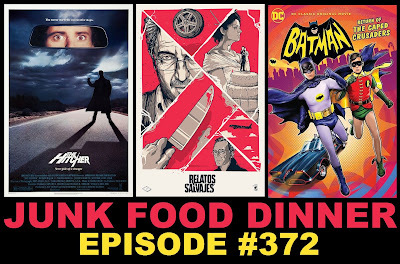 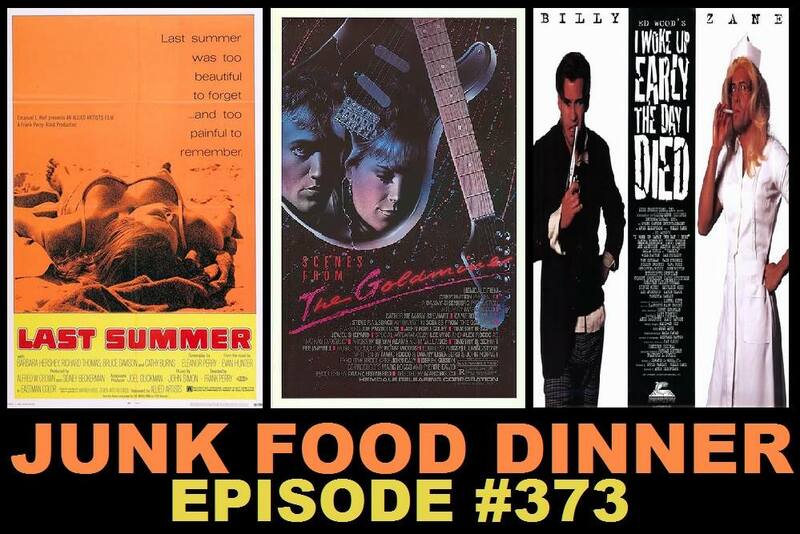 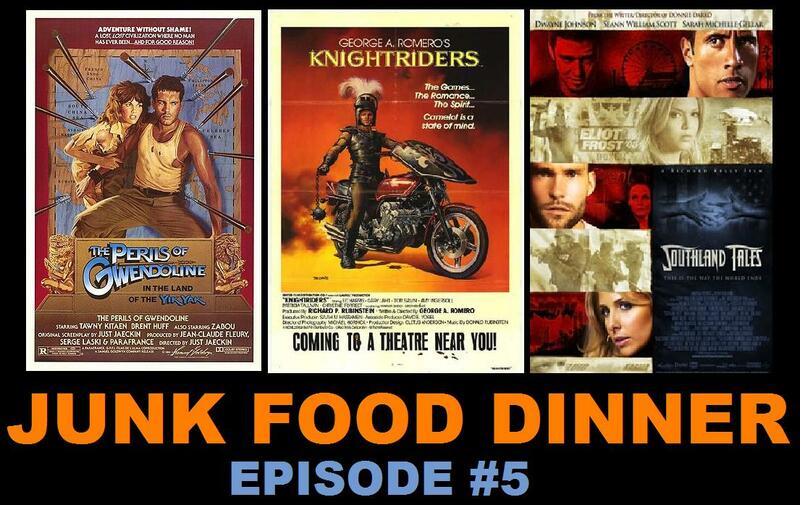 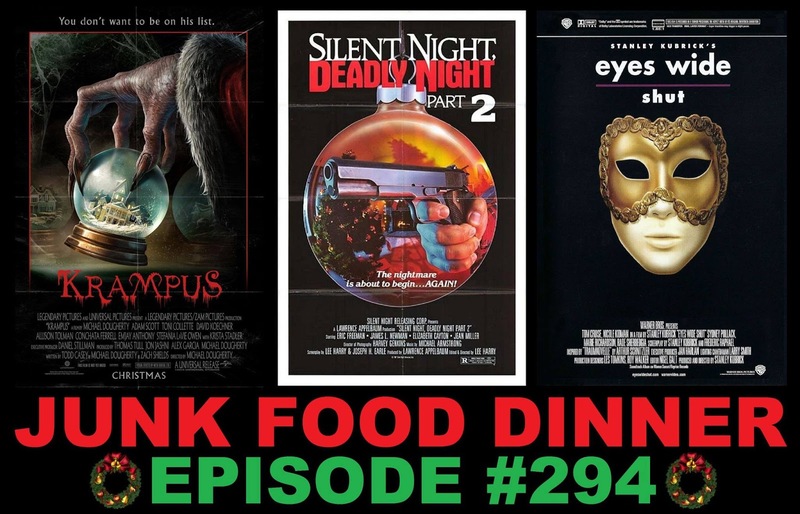 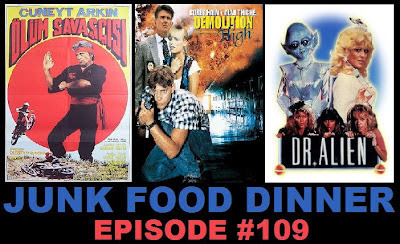 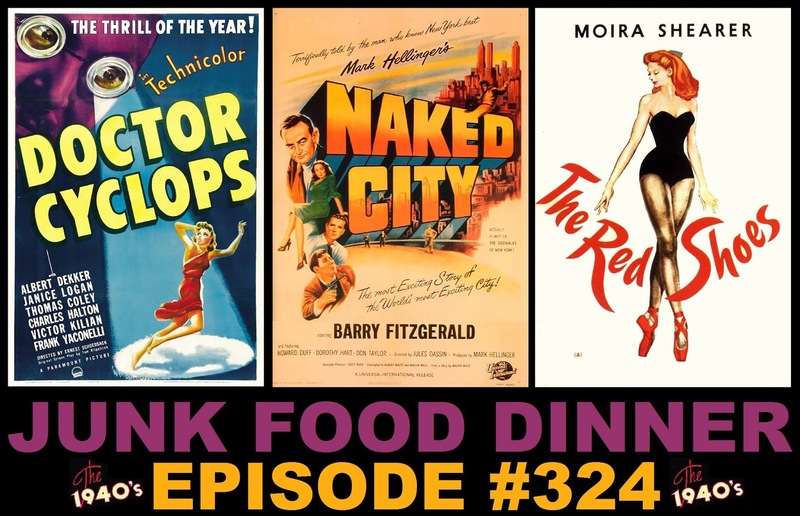 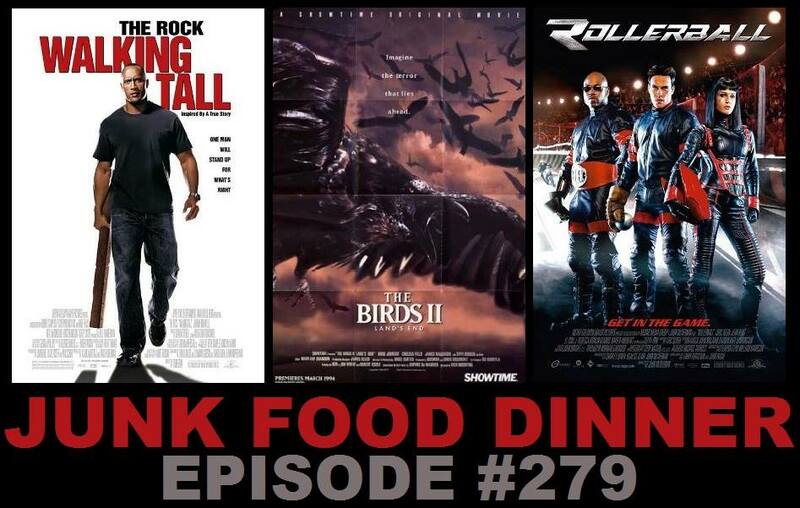 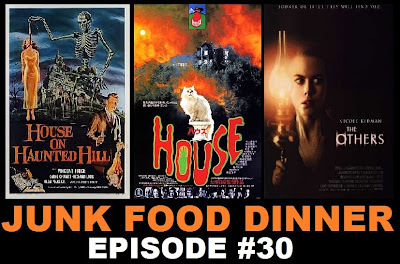 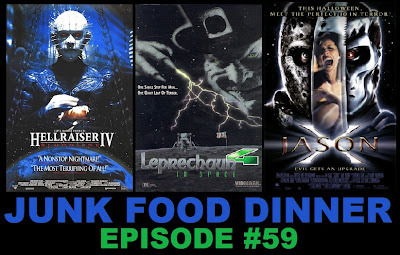 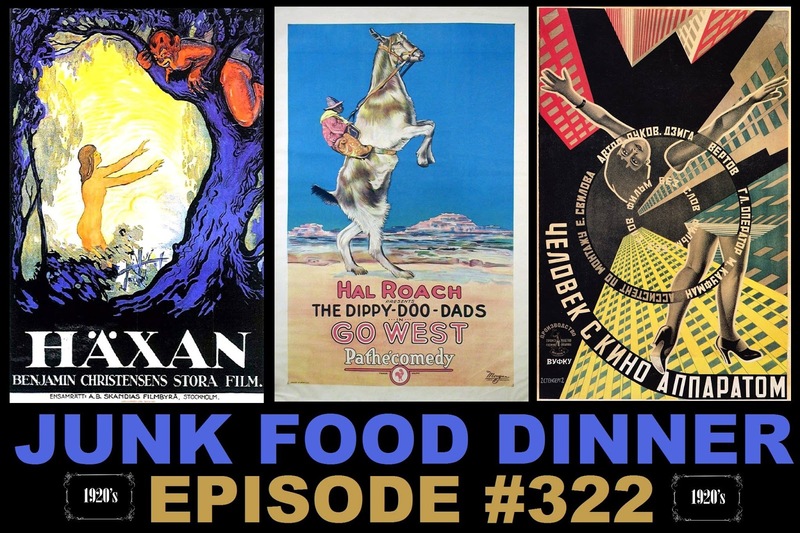 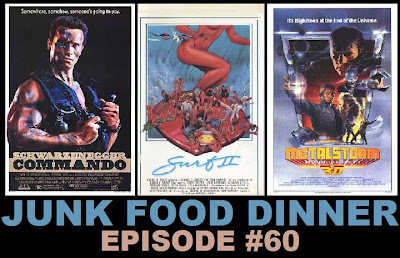 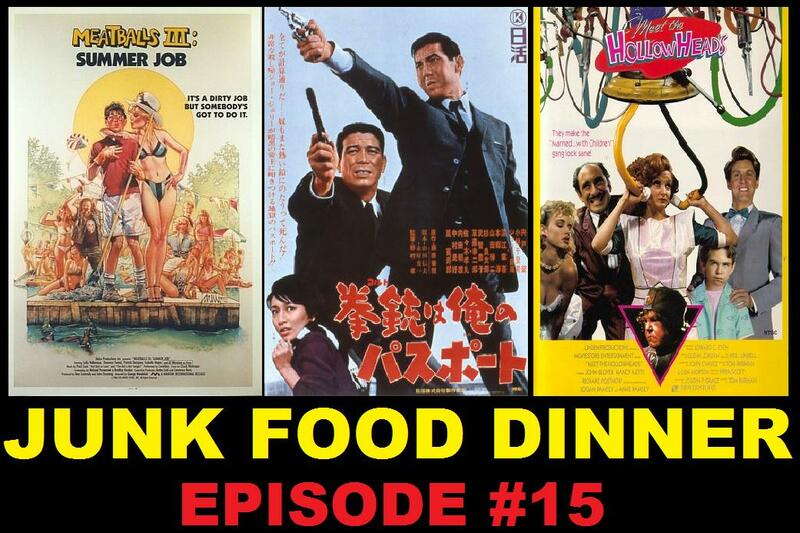 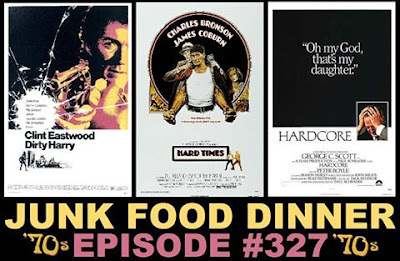 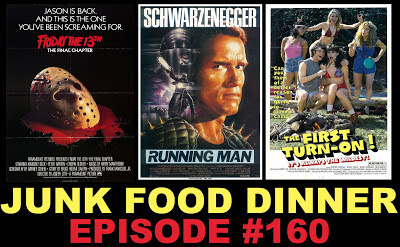 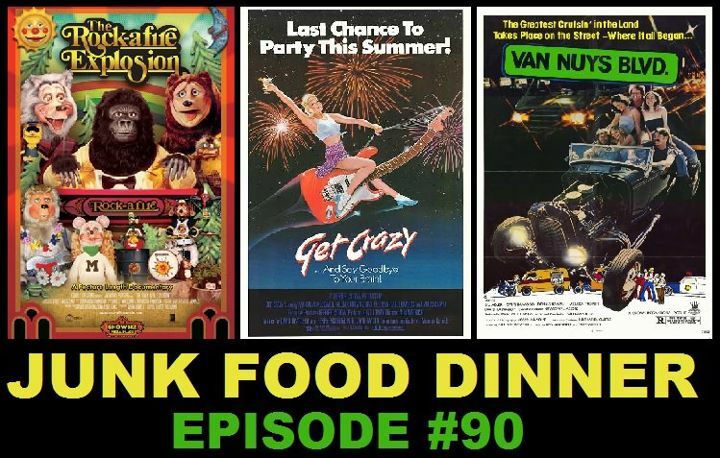 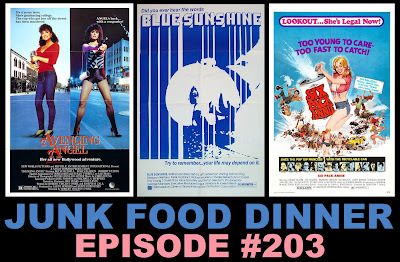 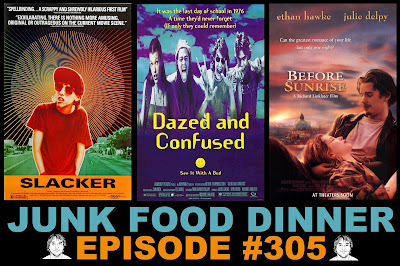 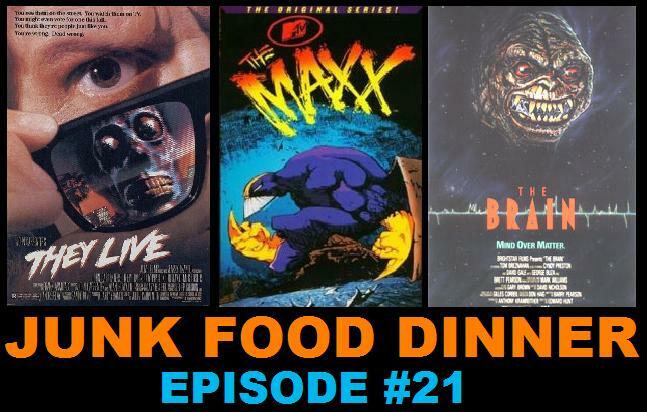 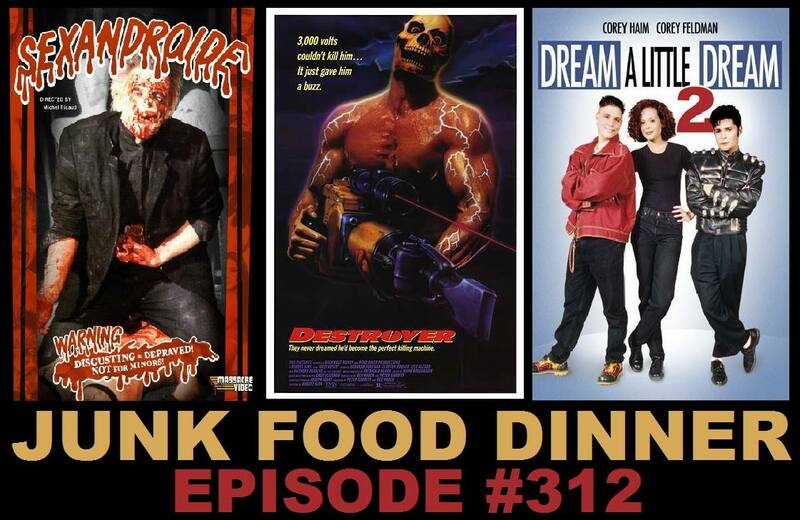 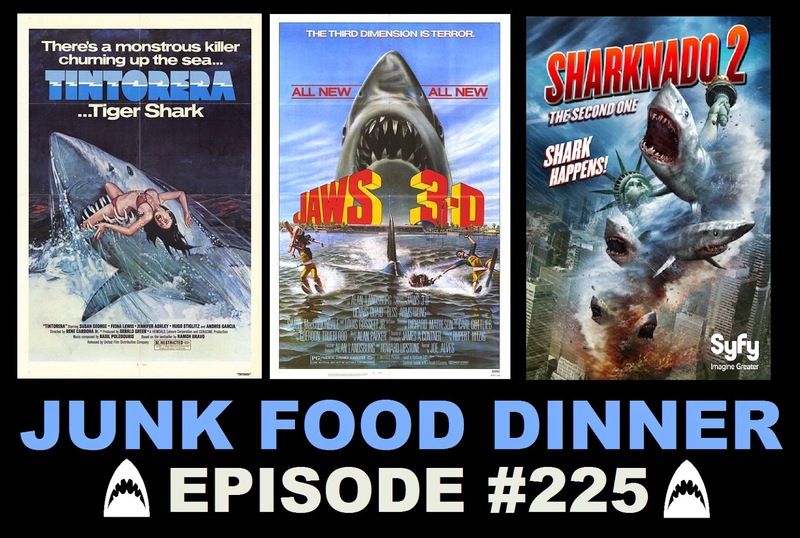 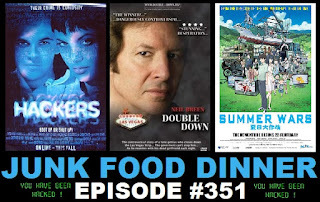 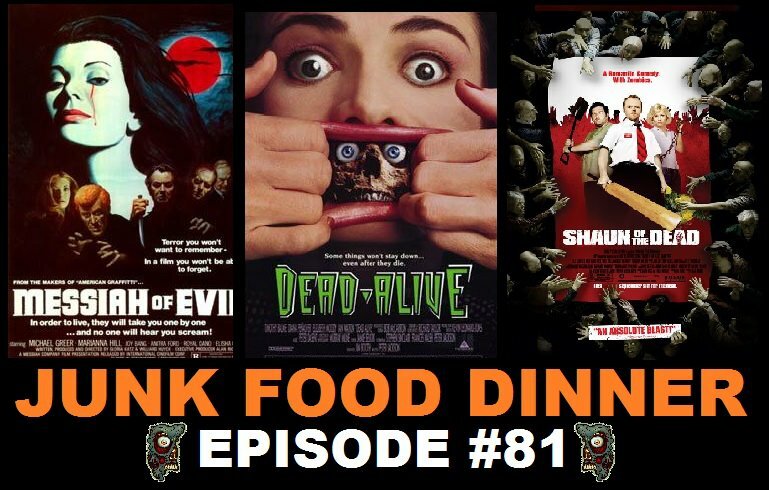 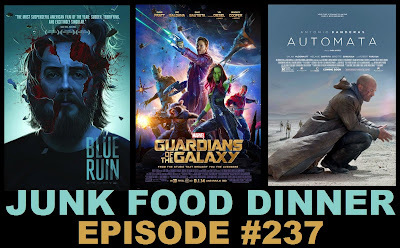 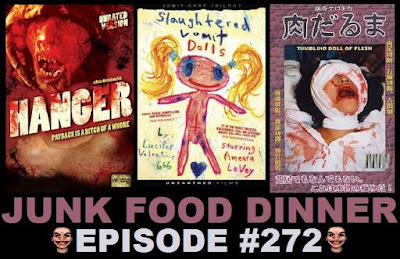 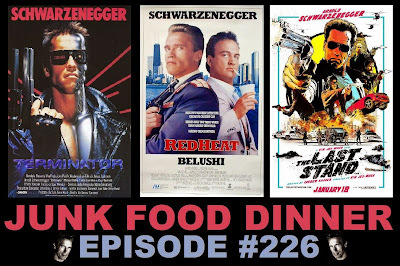 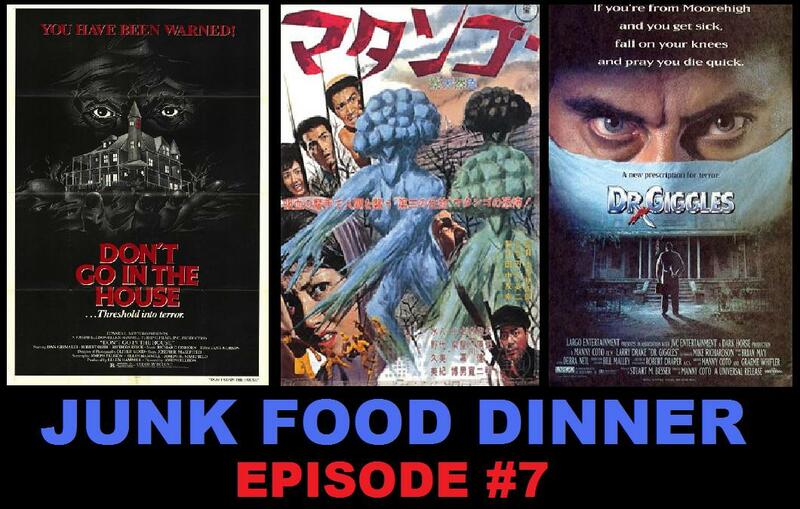 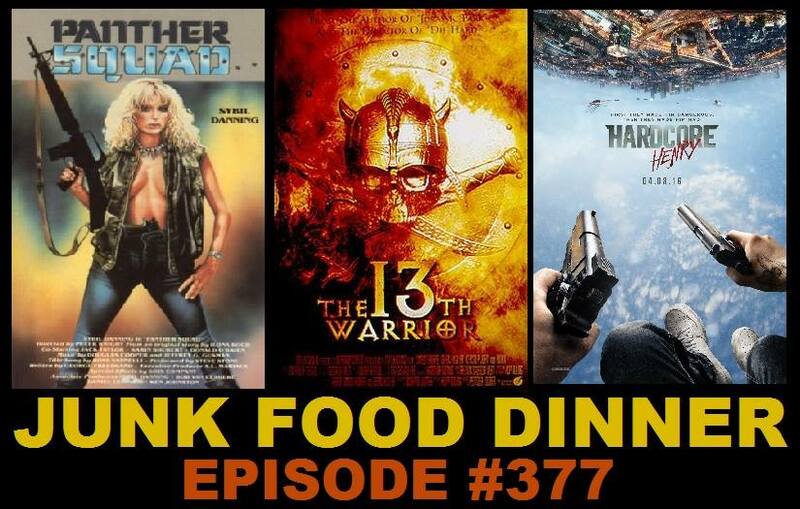 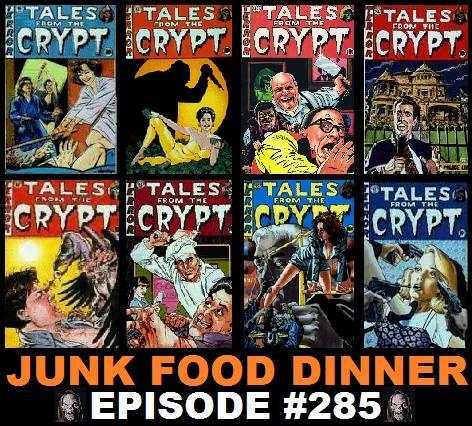 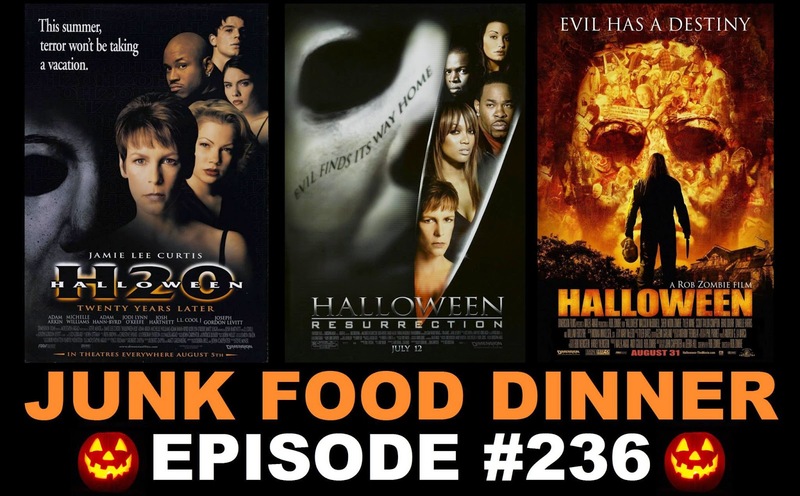 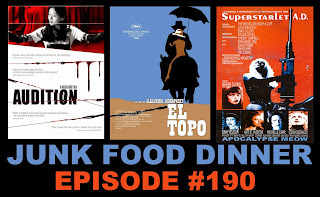 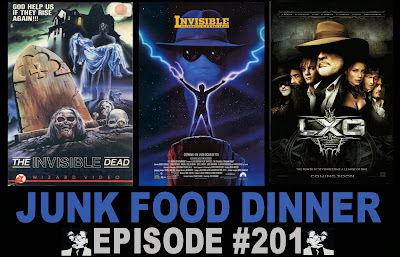 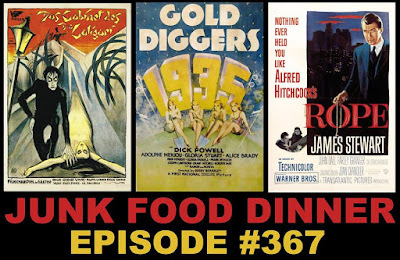 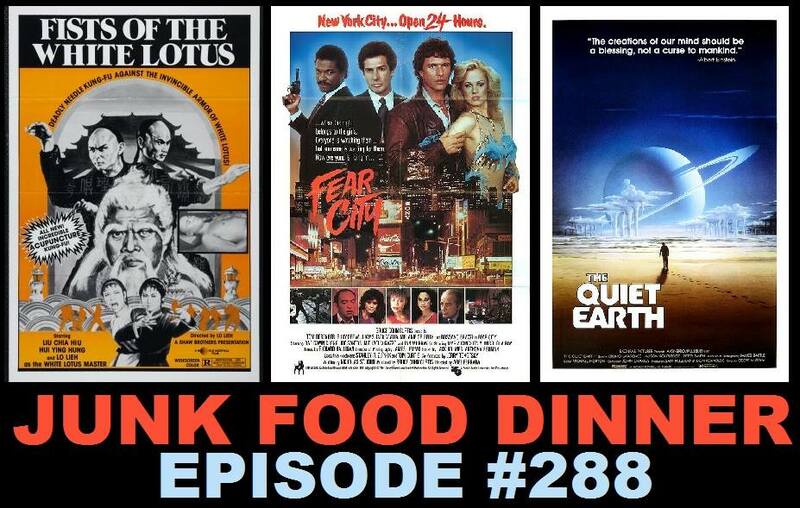 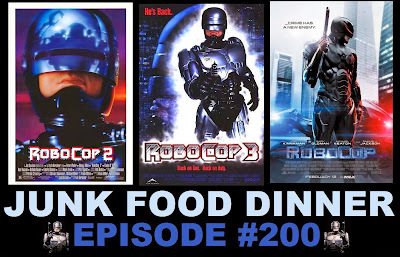 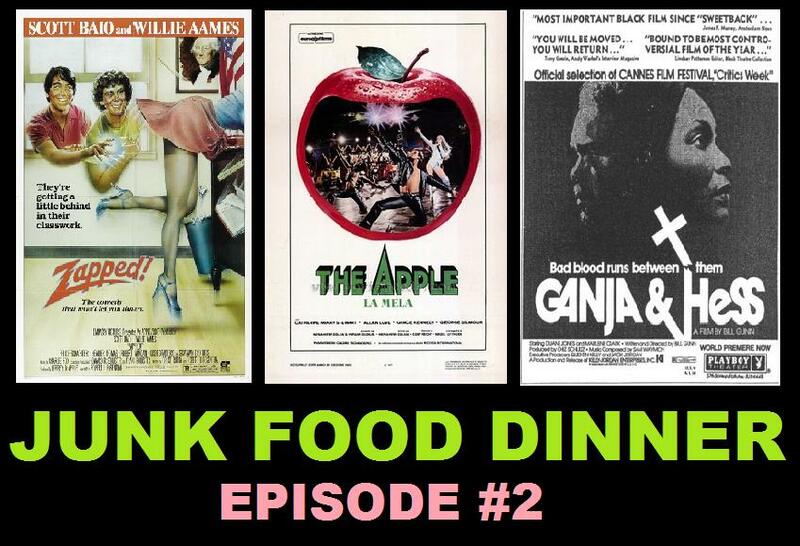 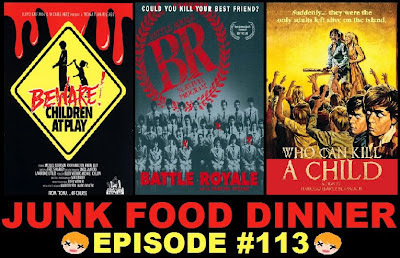 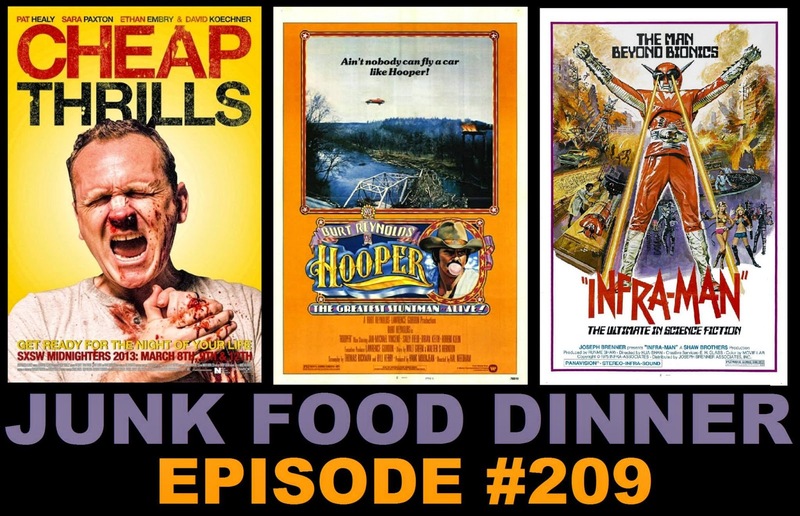 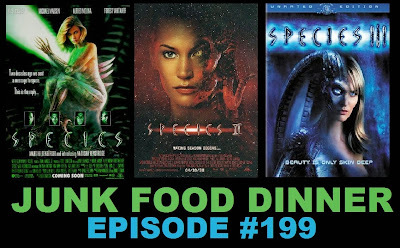 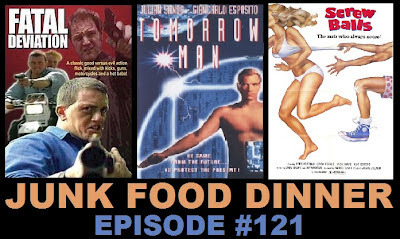 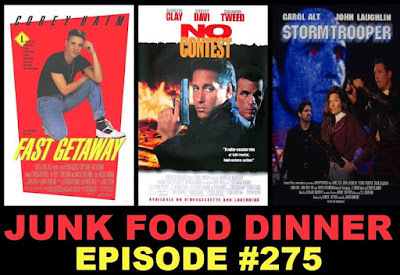 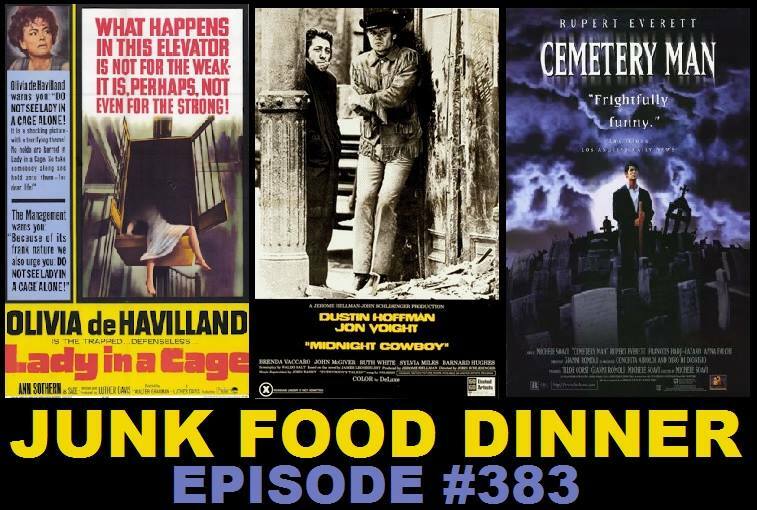 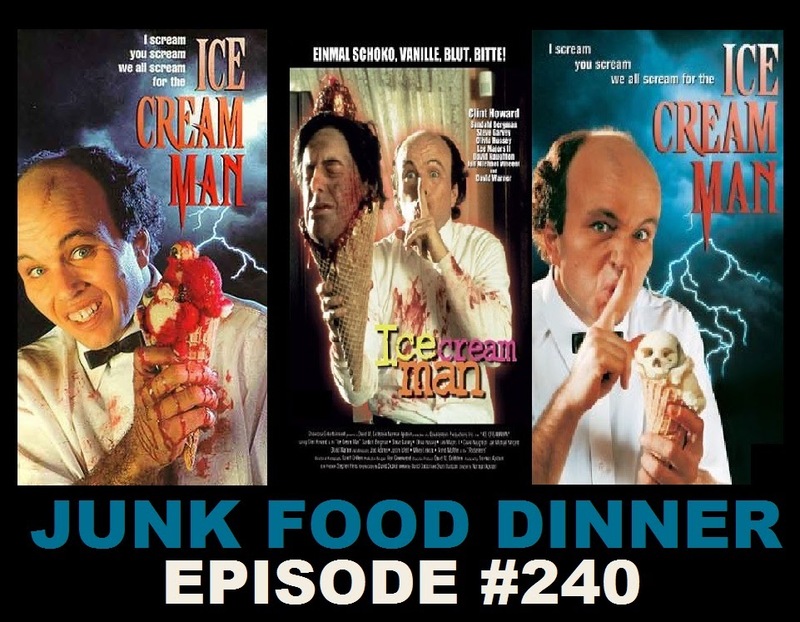 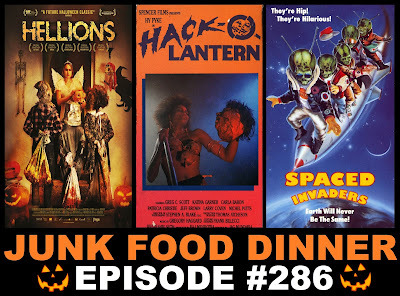 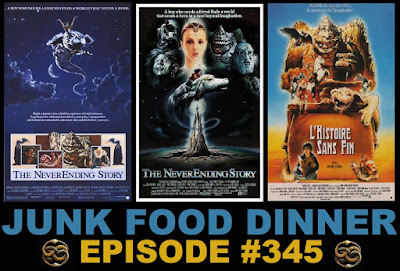 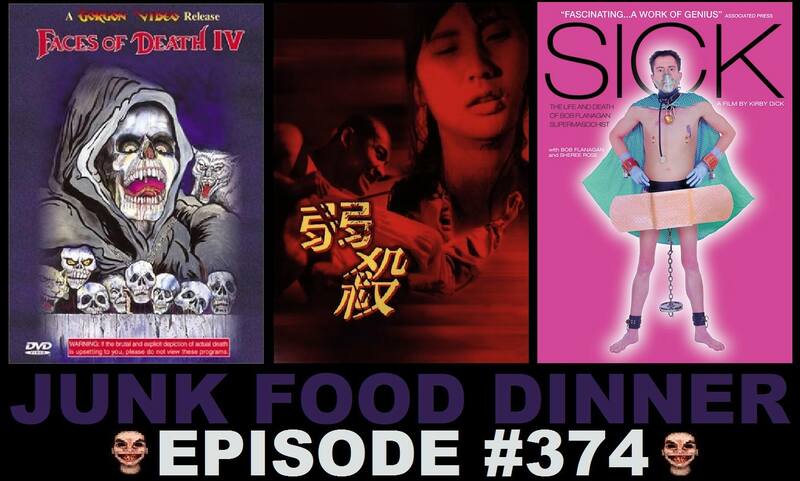 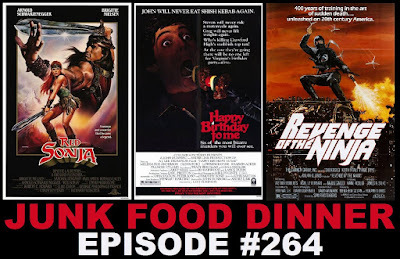 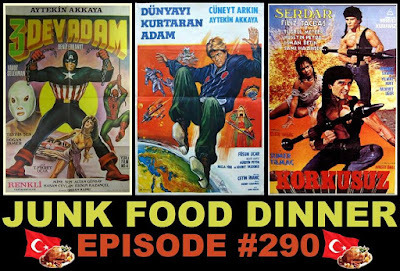 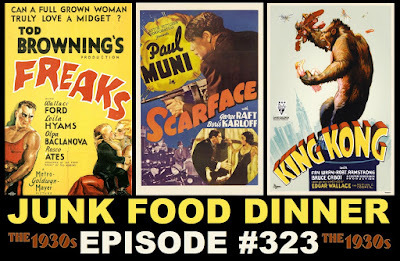 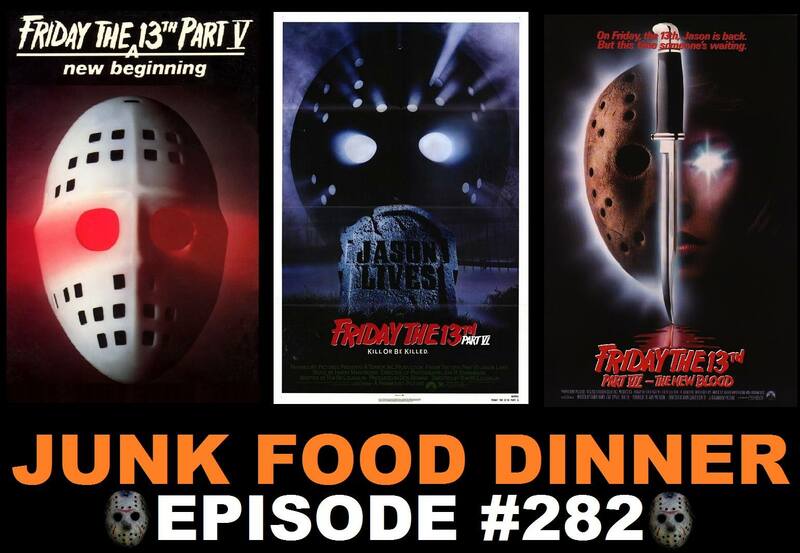 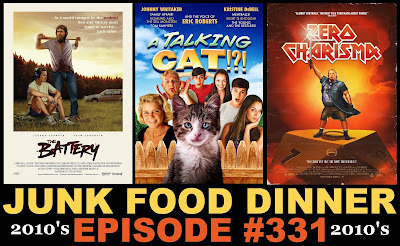 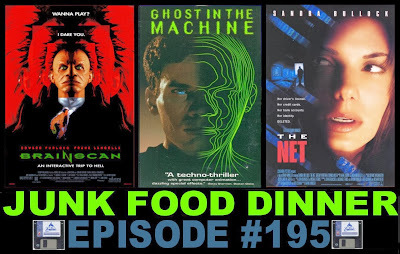 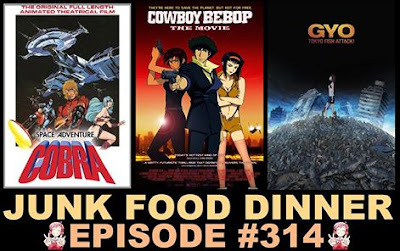 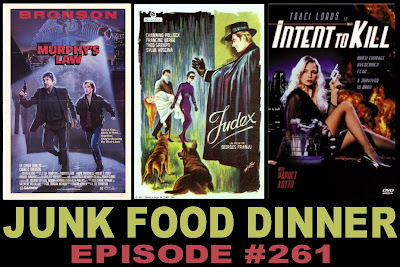 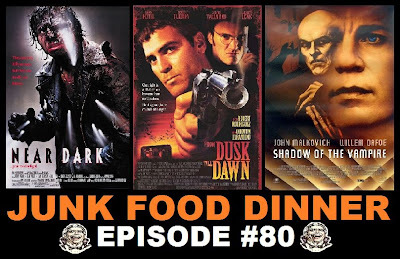 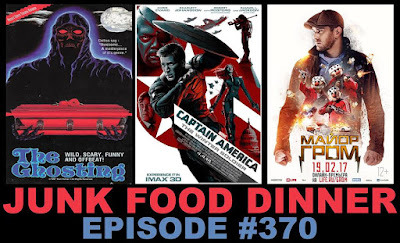 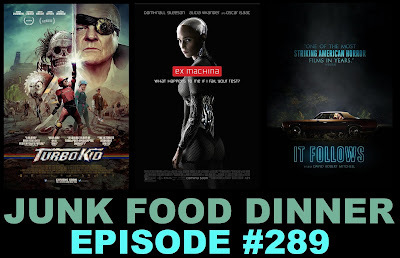 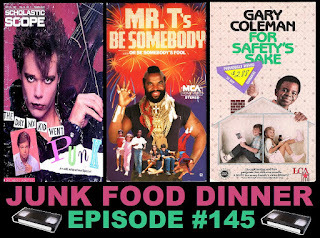 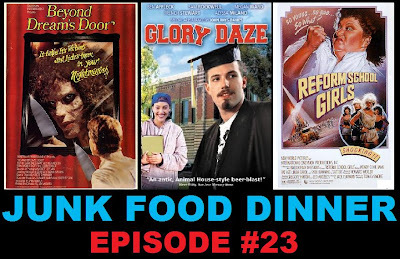 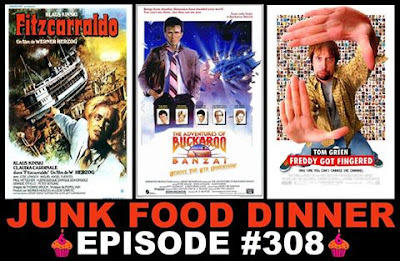 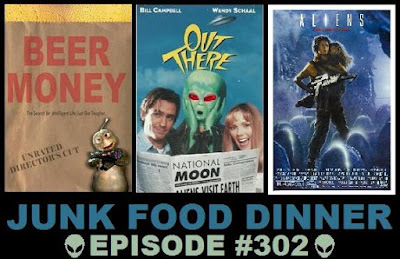 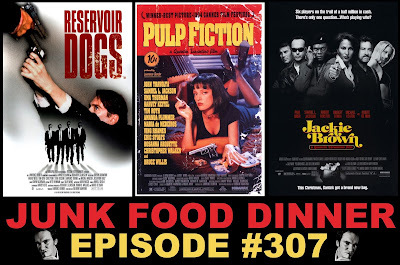 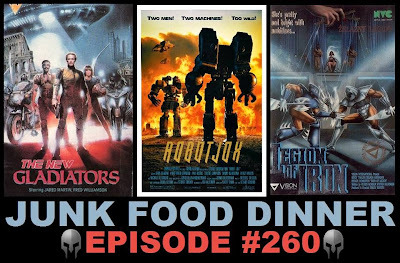 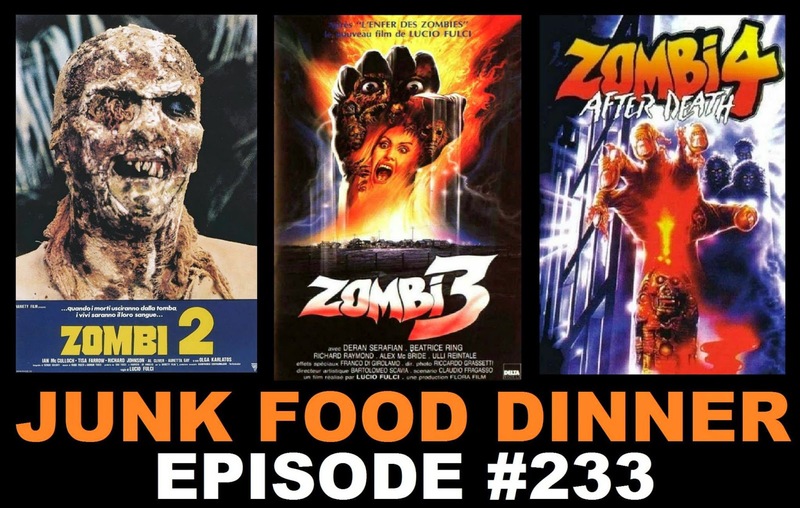 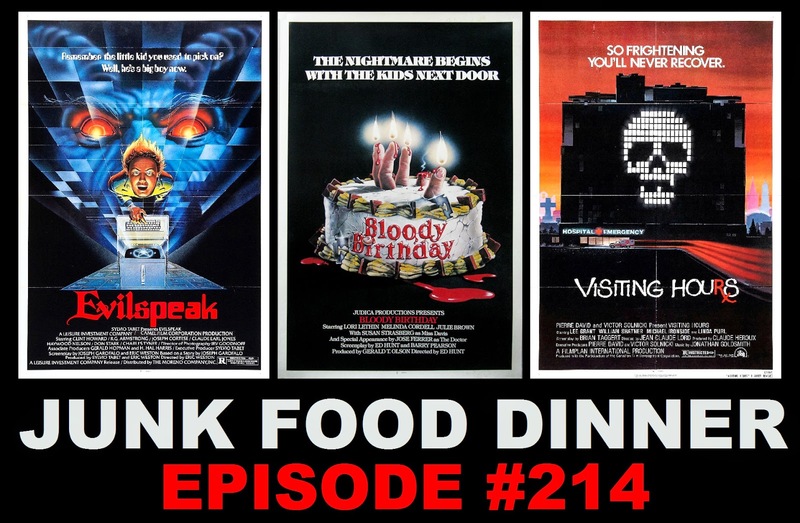 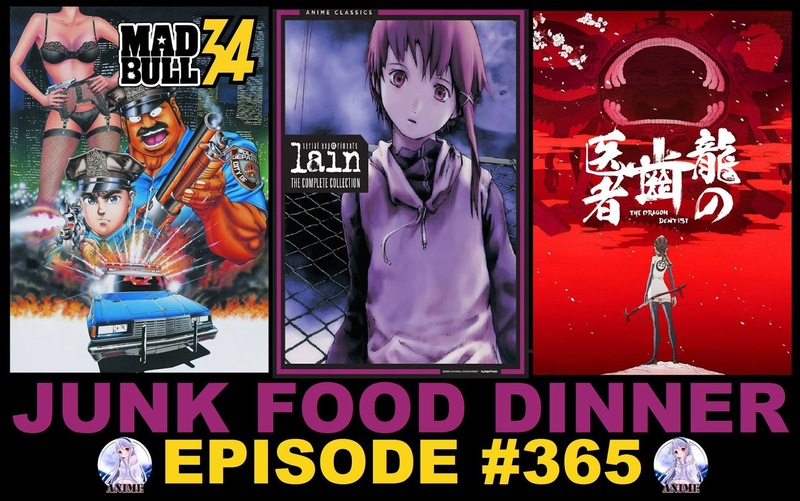 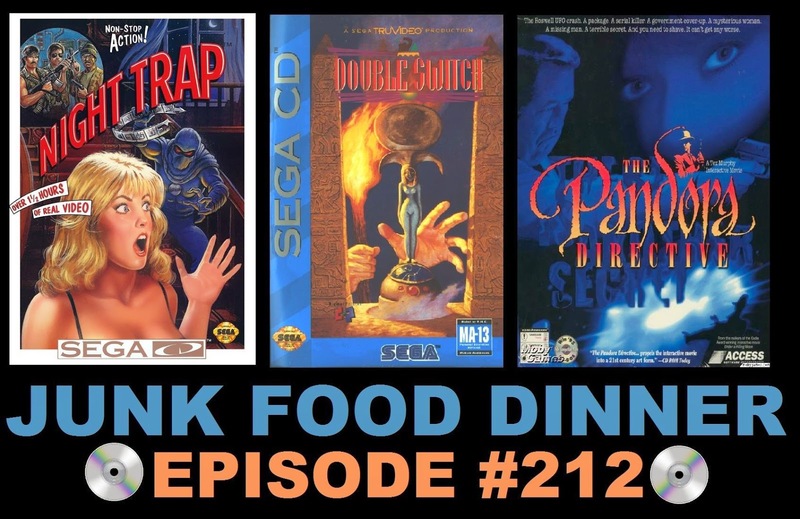 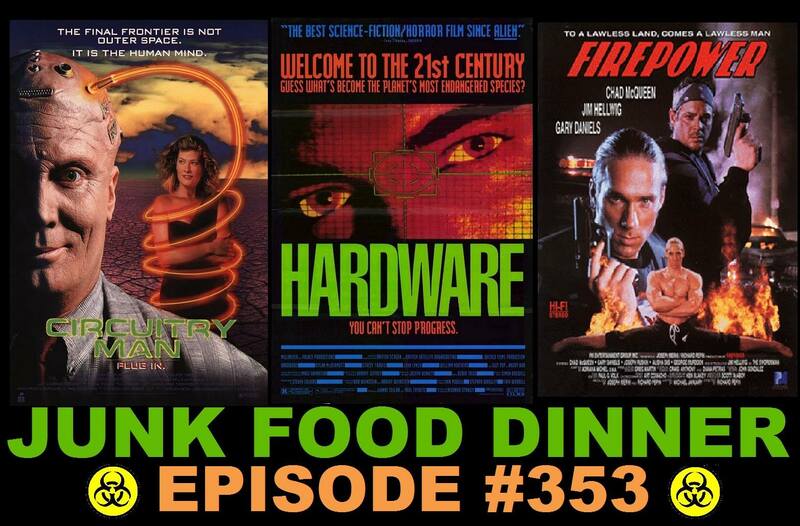 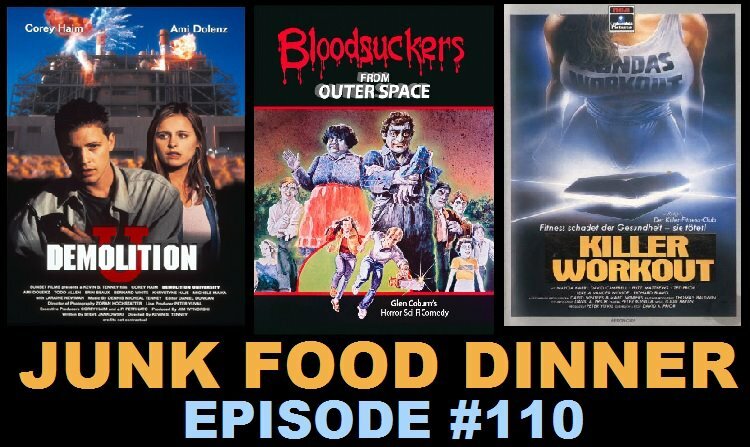 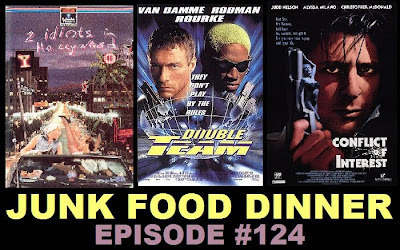 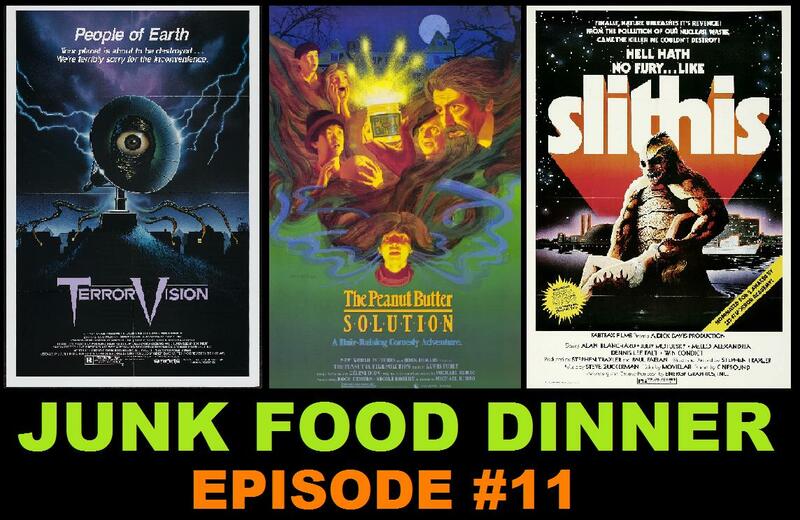 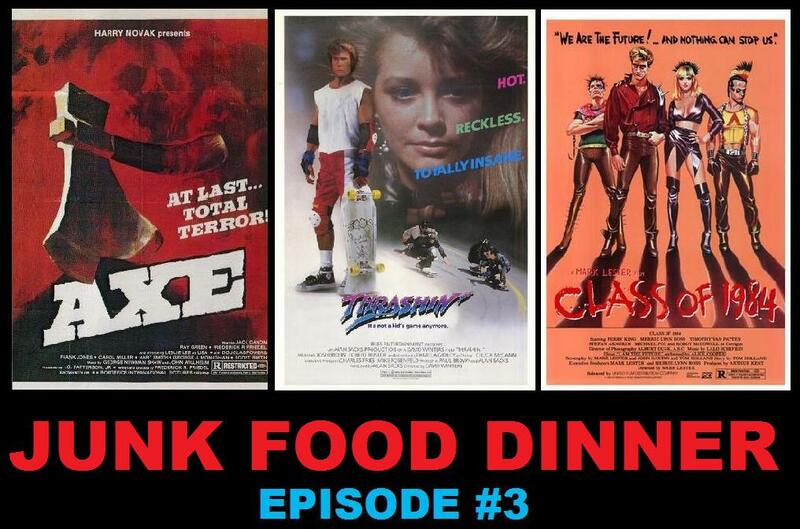 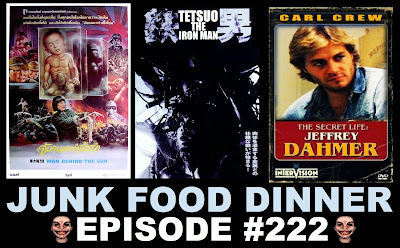 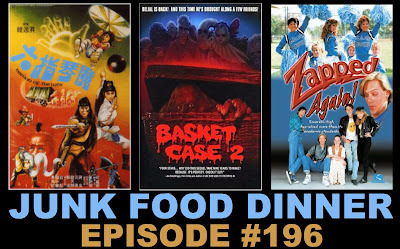 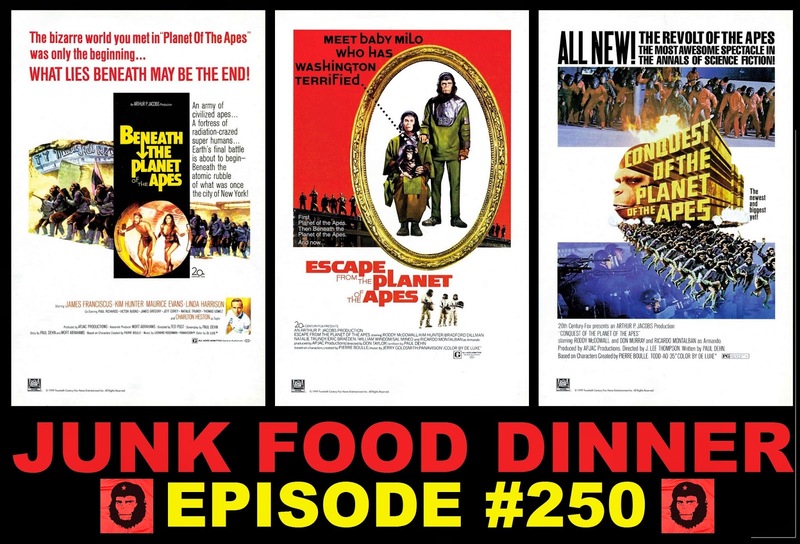 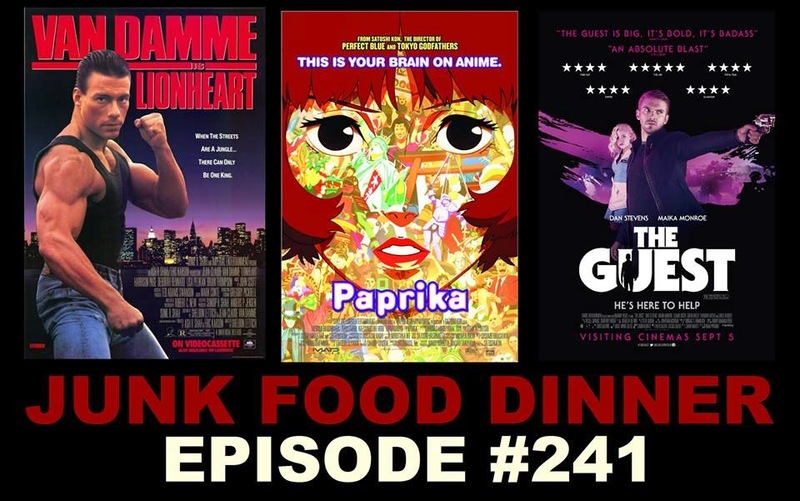 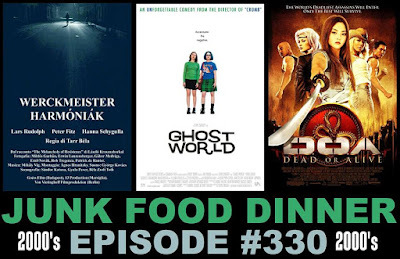 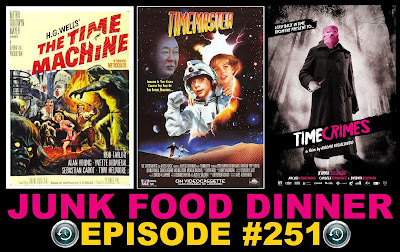 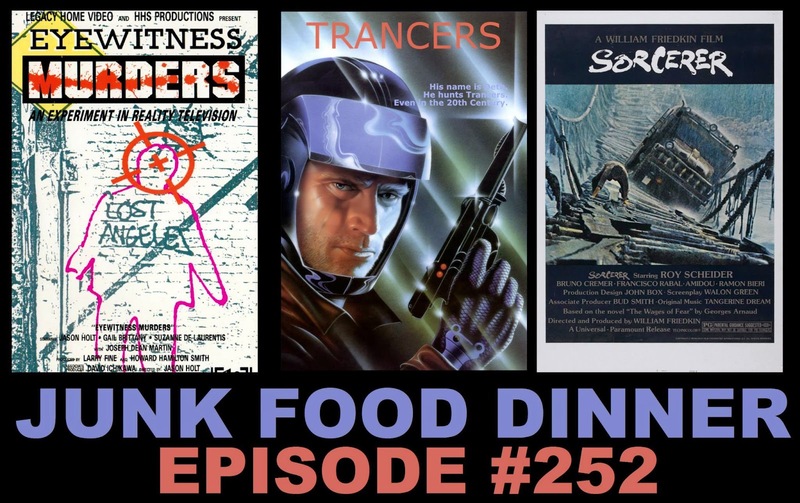 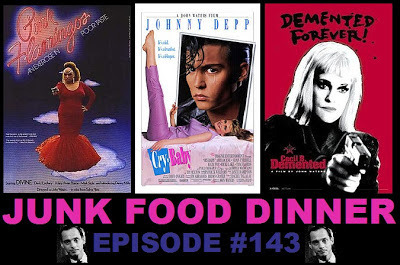 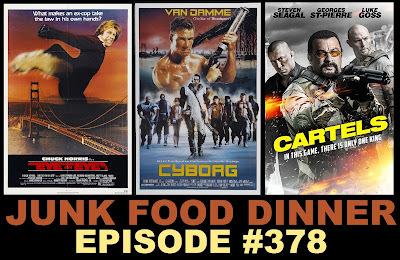 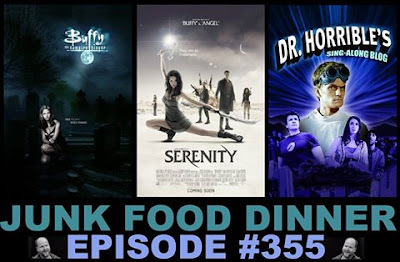 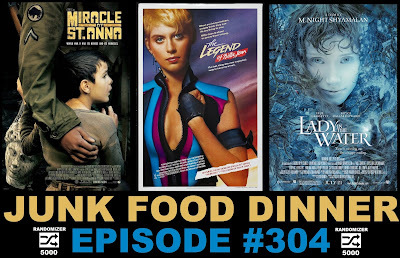 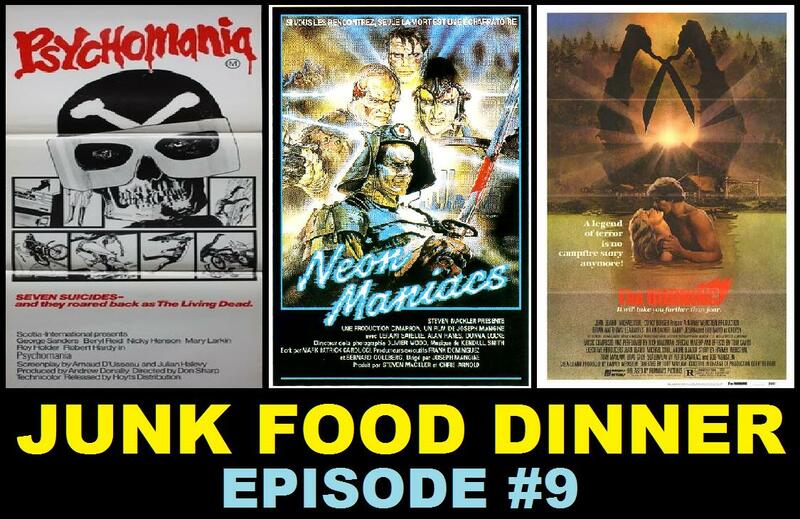 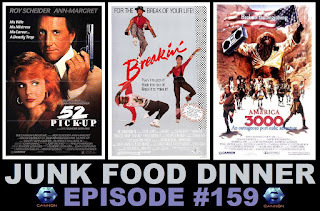 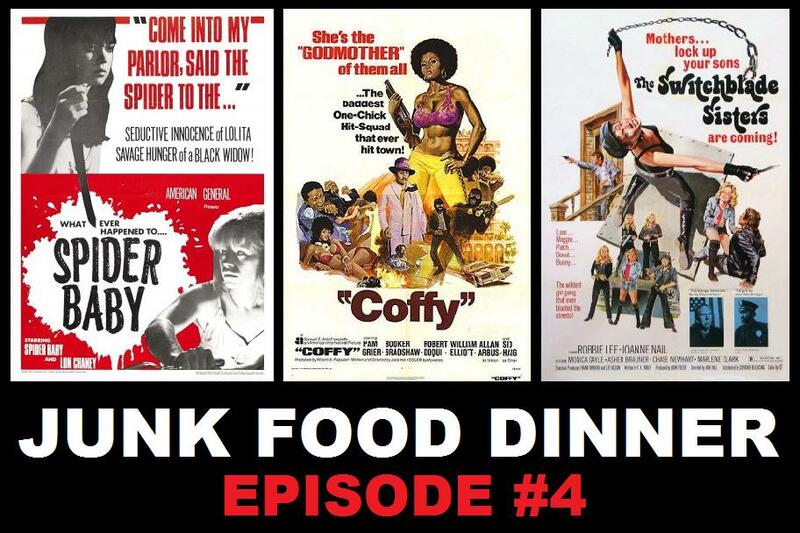 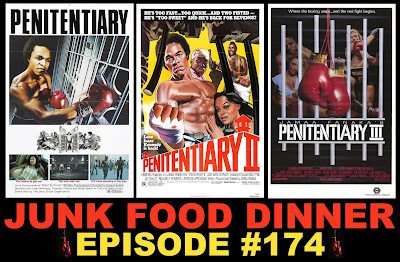 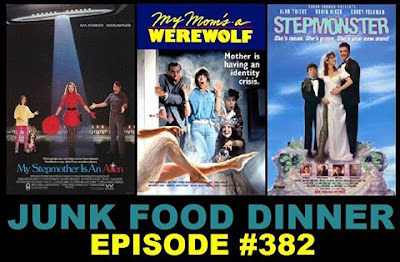 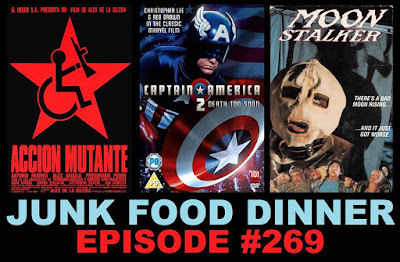 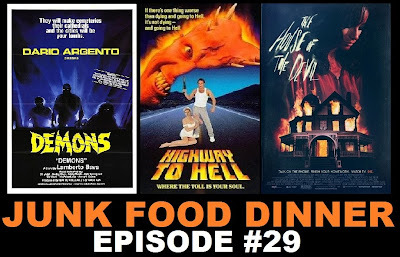 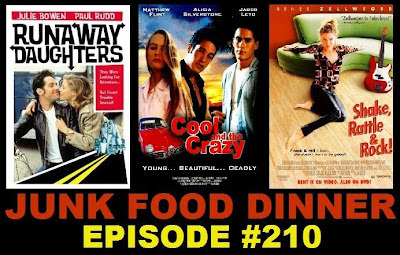 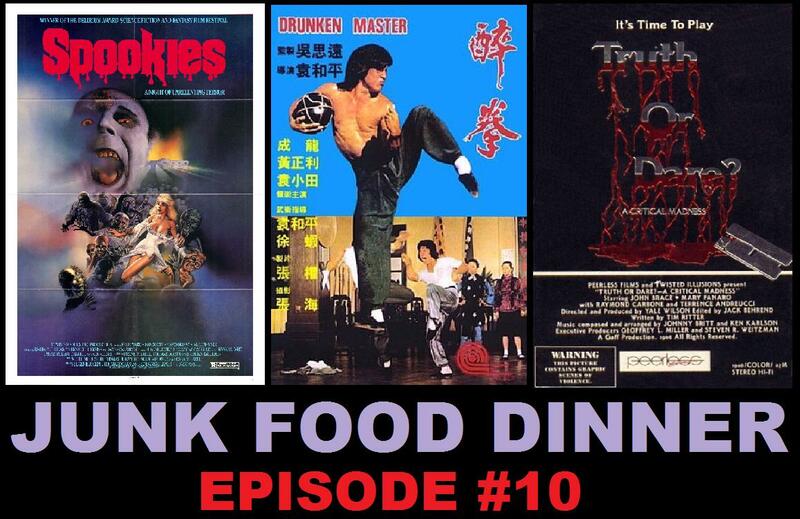 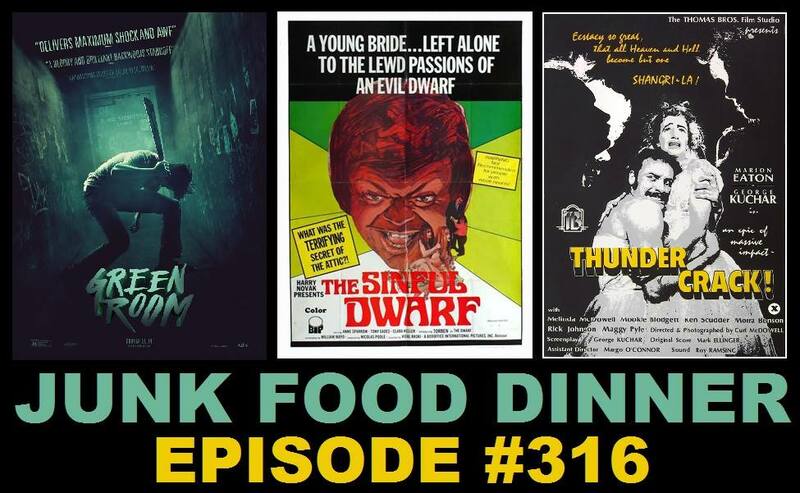 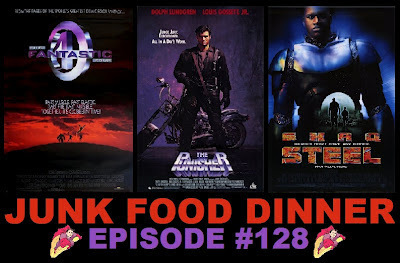 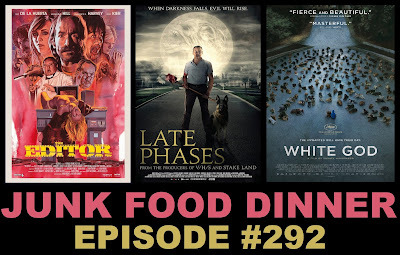 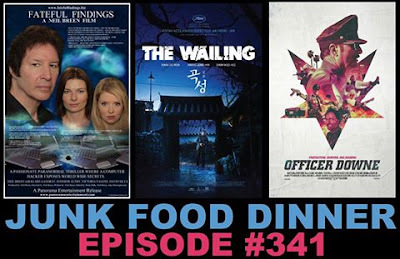 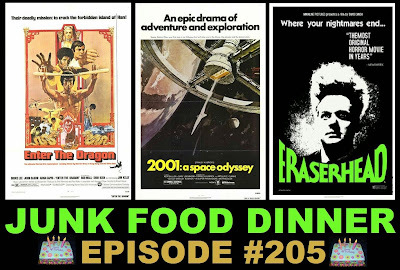 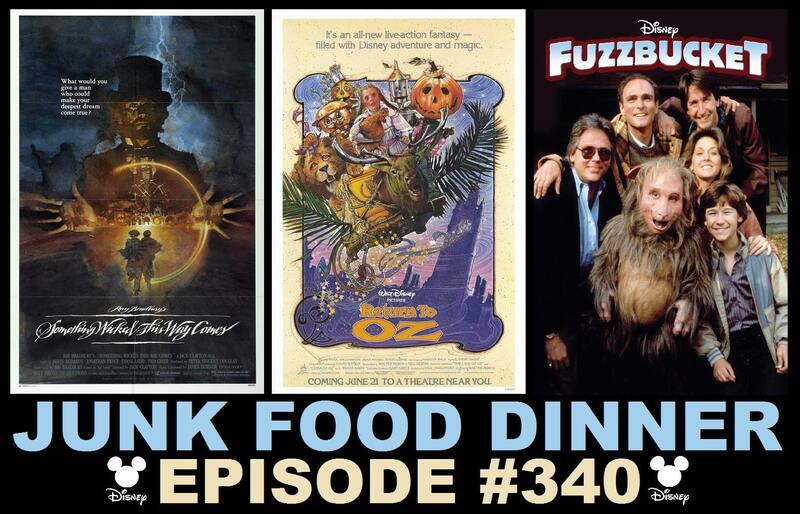 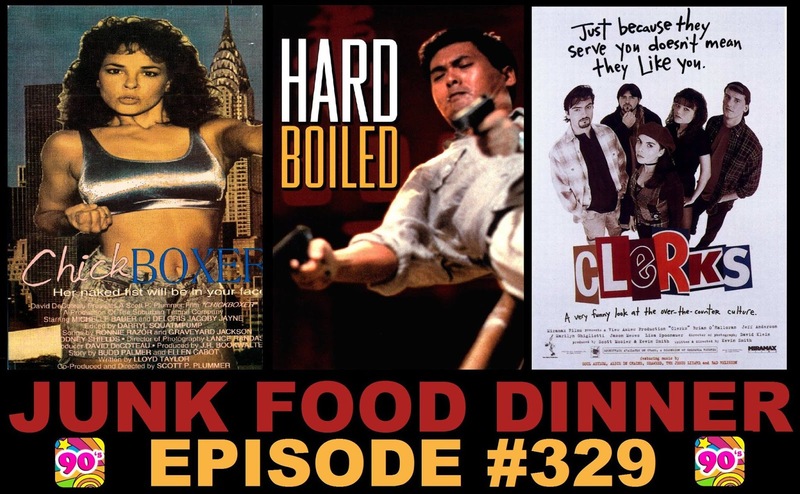 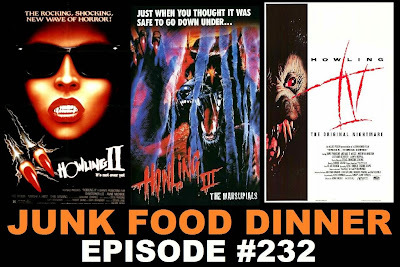 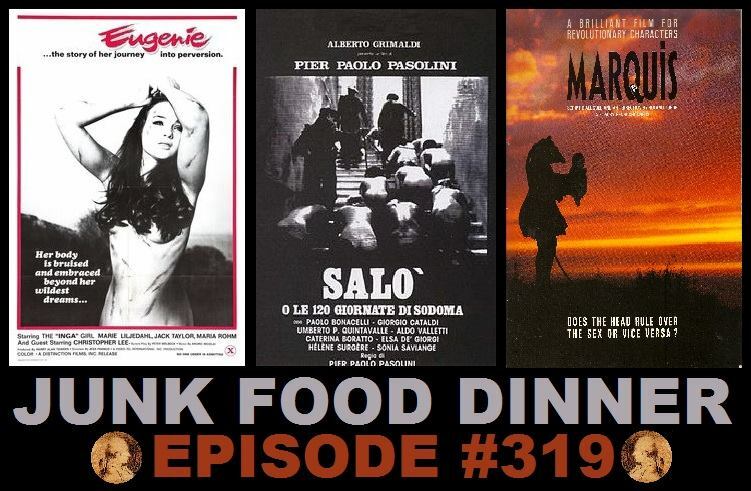 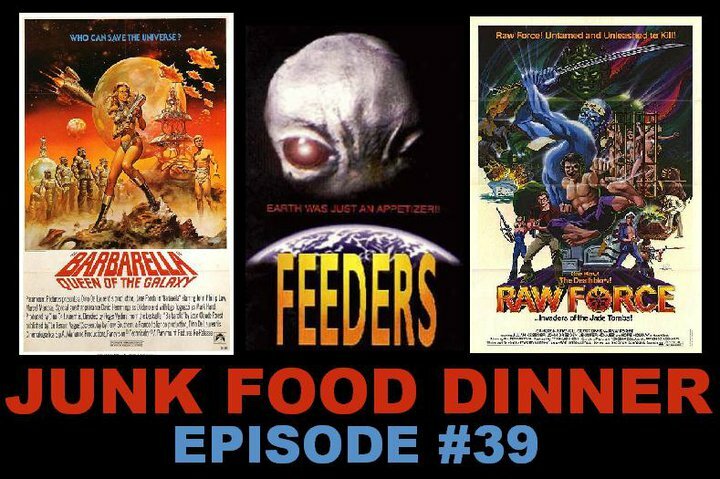 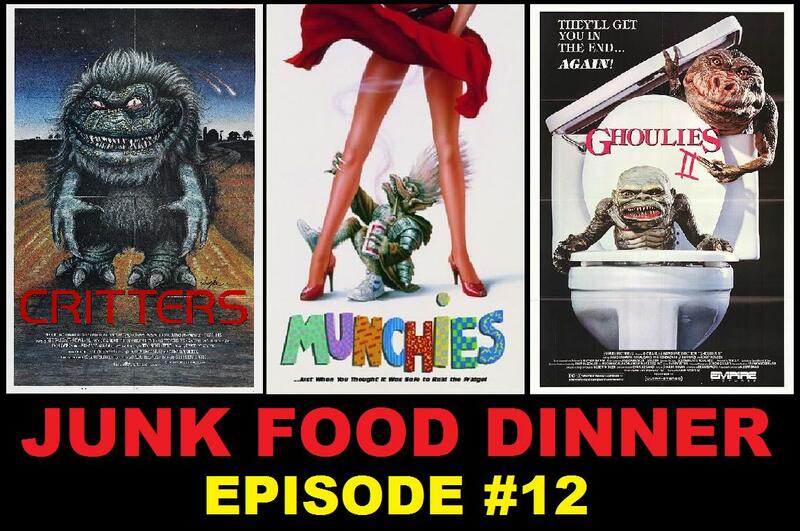 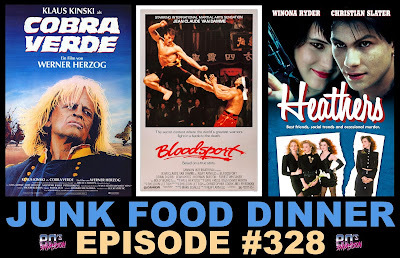 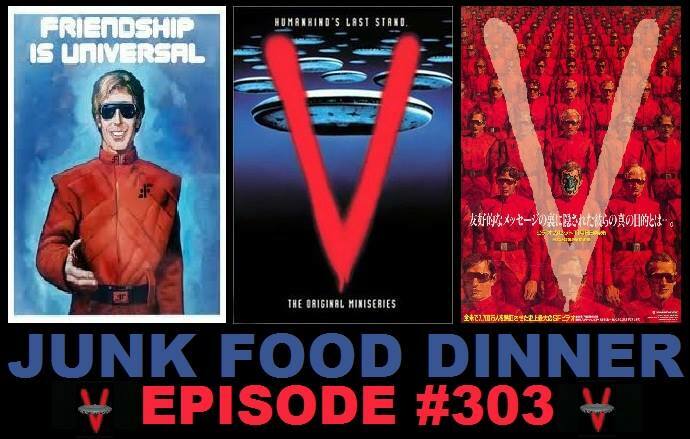 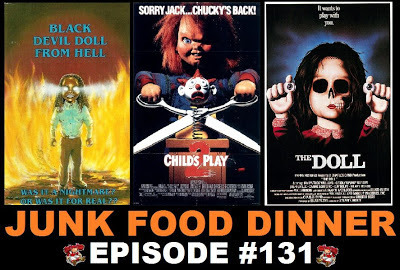 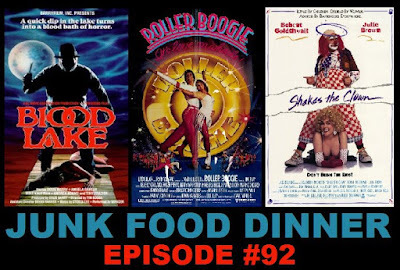 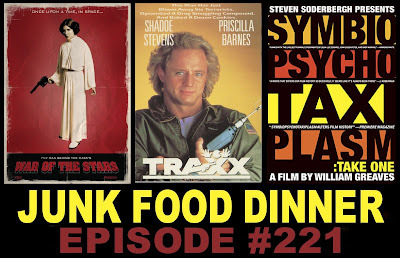 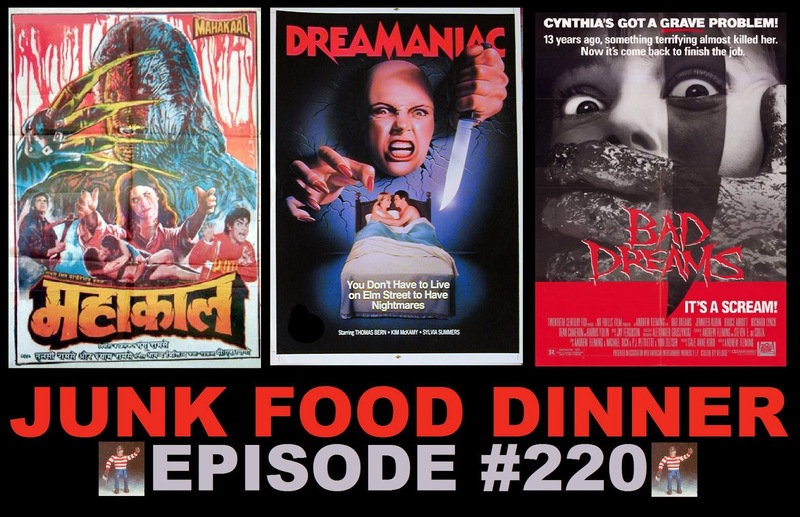 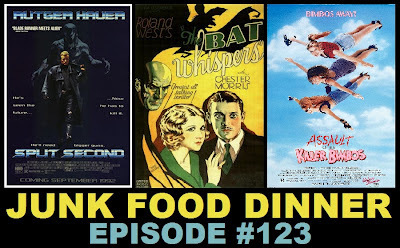 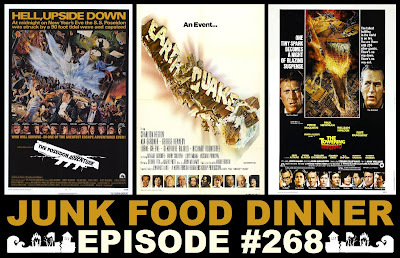 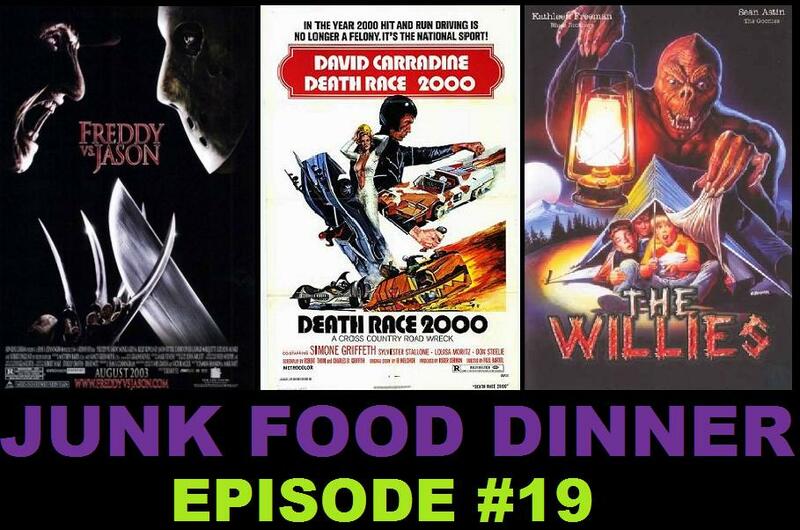 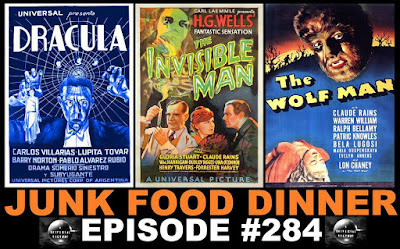 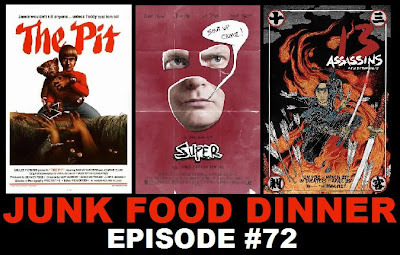 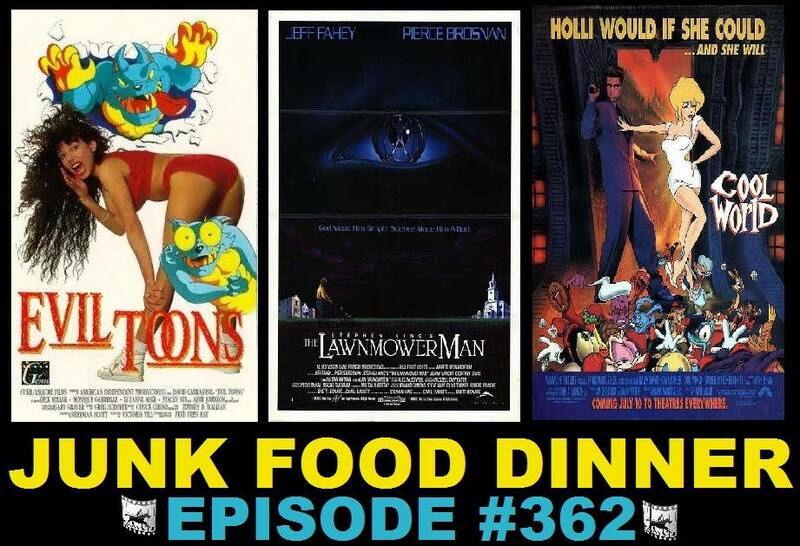 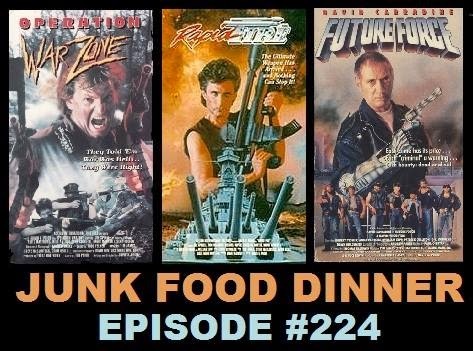 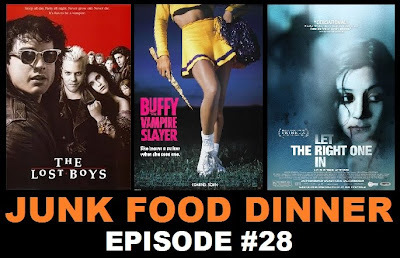 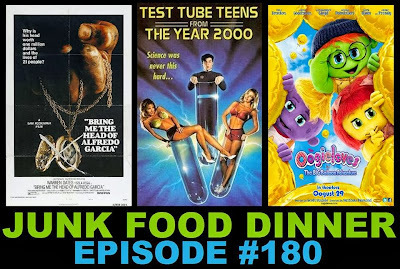 Hey dudes and dudettes, Junk Food Dinner is back to covet your mellow with an episode dedicated to the 20th of April. 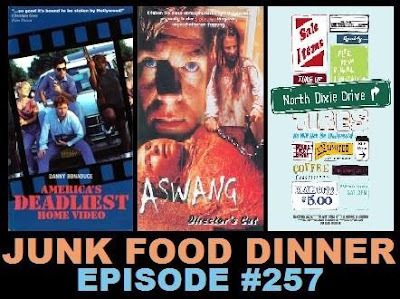 We start things off in a time when dudes were dudes and babes were meant to be wormed on in 1994's driving around odyssey The Stöned Age. 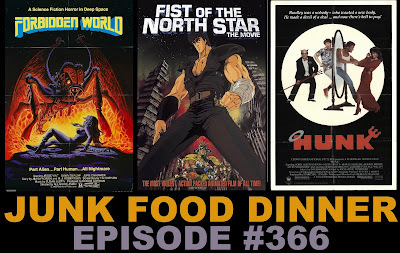 Next we, like, fly a car through space and then, like, totally fight zombies and horrors from beyond the Canadian galaxy or whatever in the animated adult epic Heavy Metal from 1981. 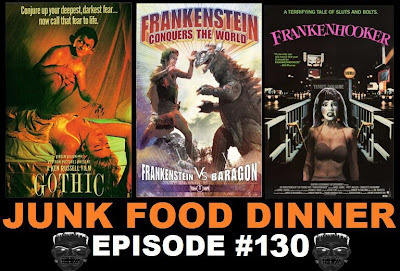 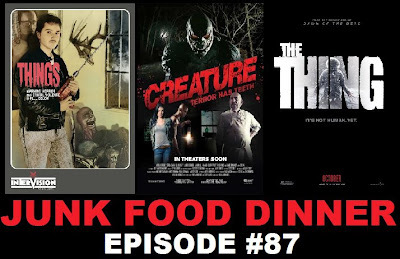 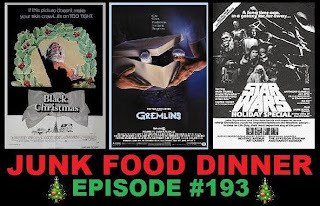 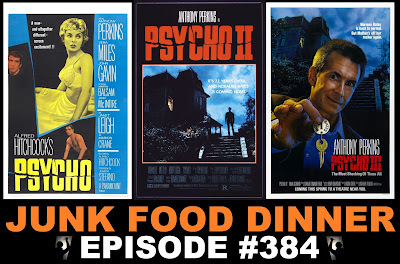 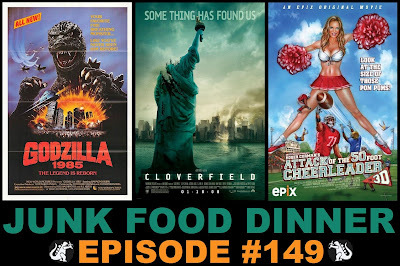 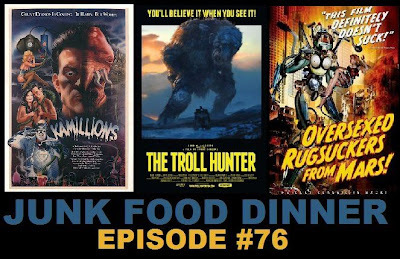 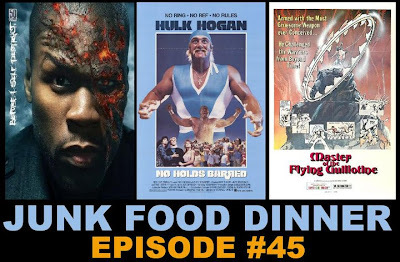 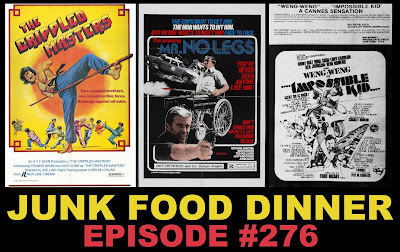 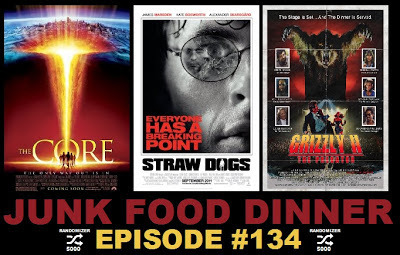 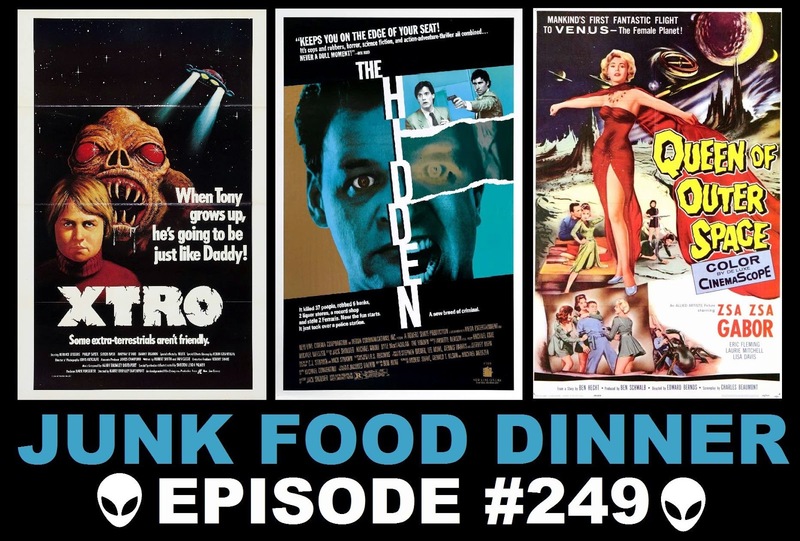 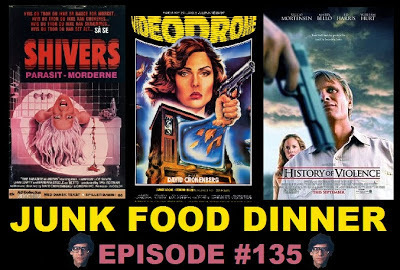 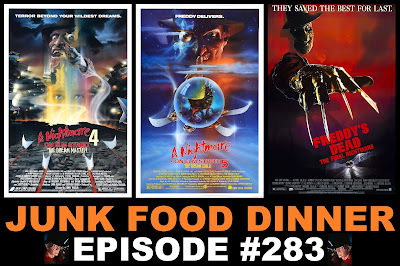 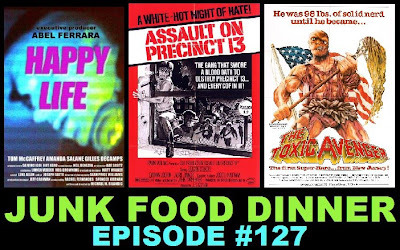 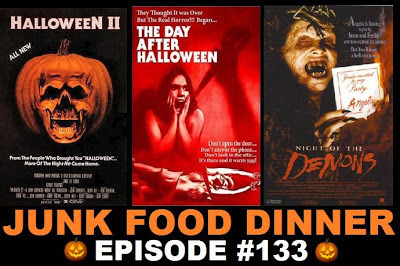 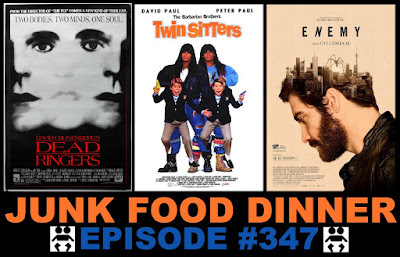 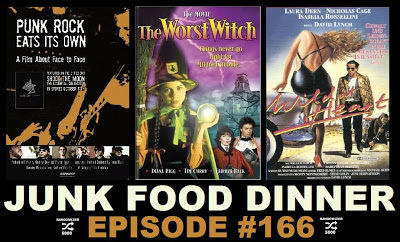 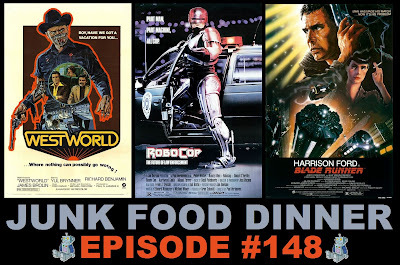 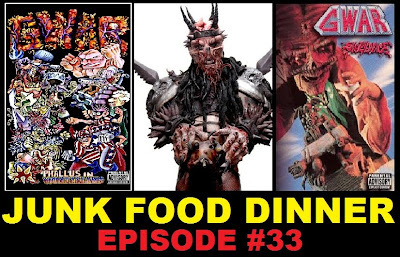 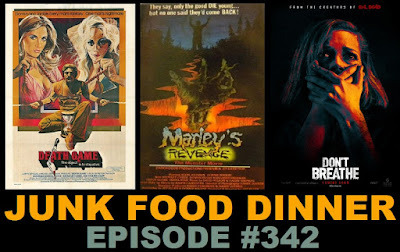 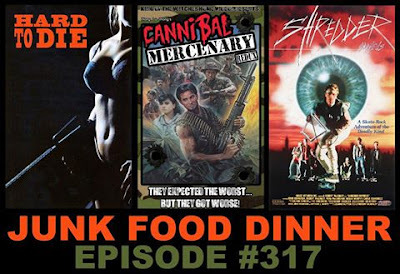 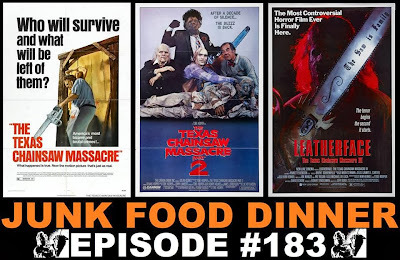 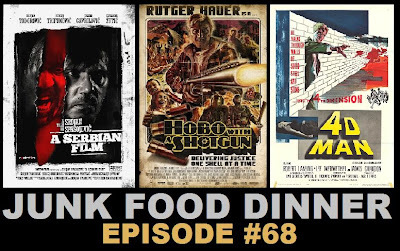 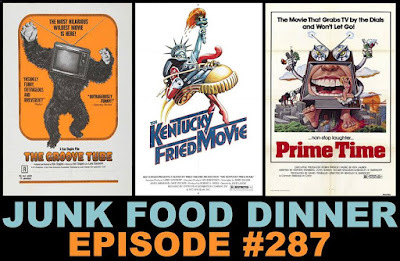 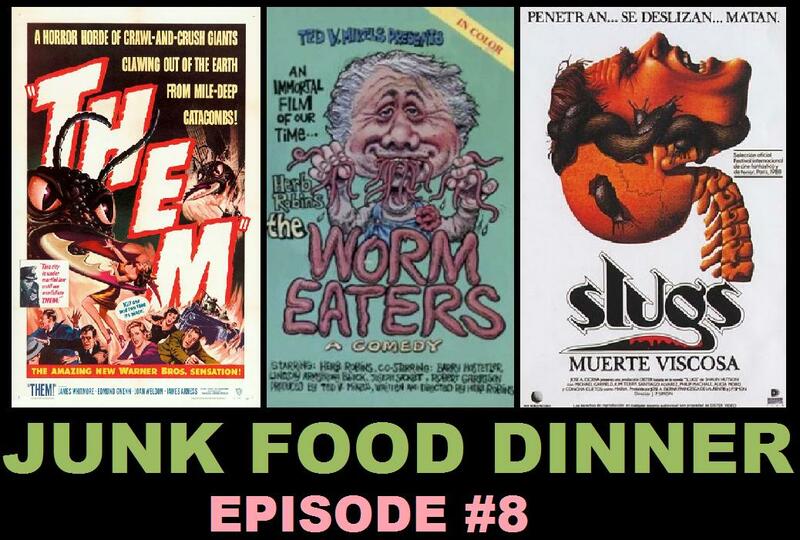 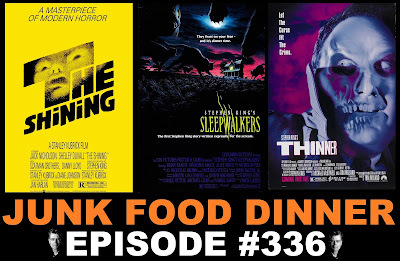 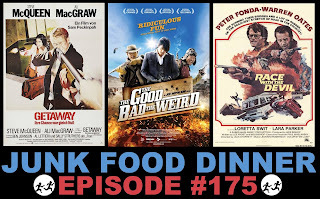 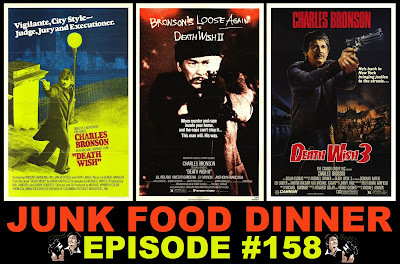 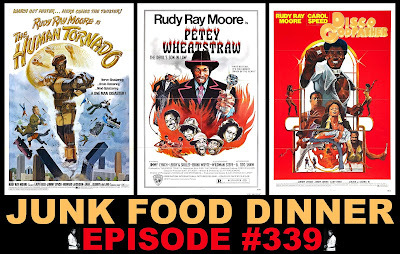 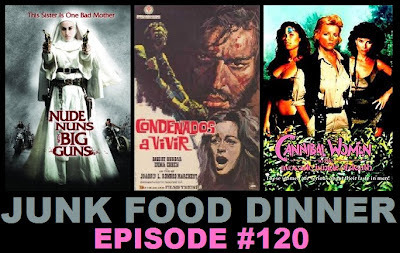 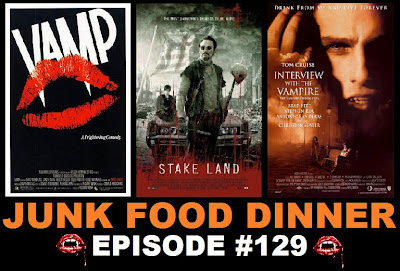 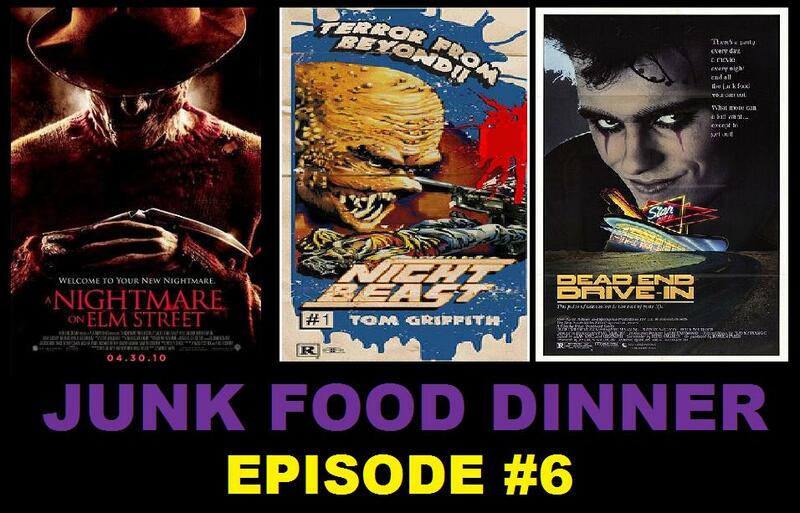 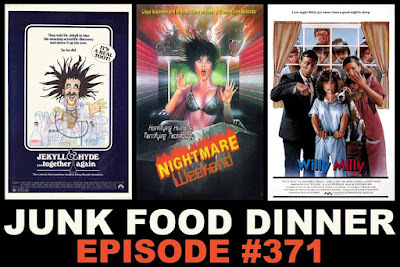 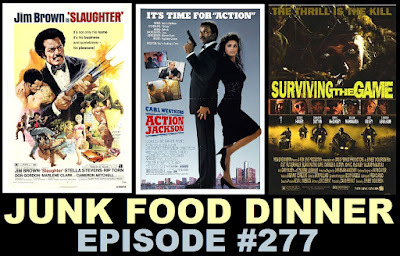 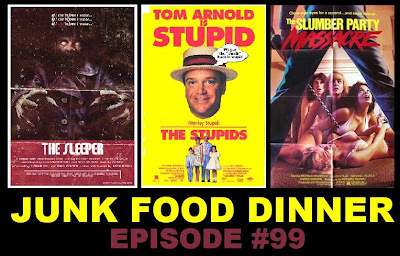 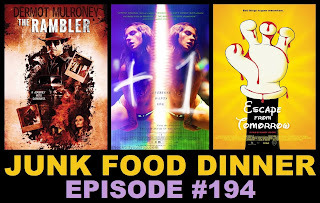 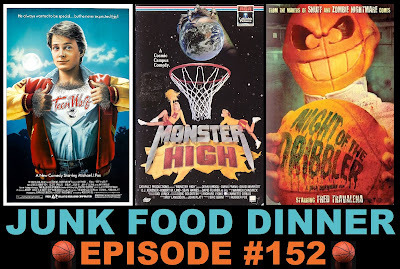 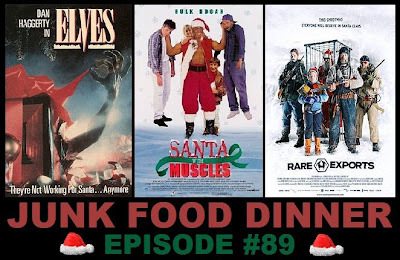 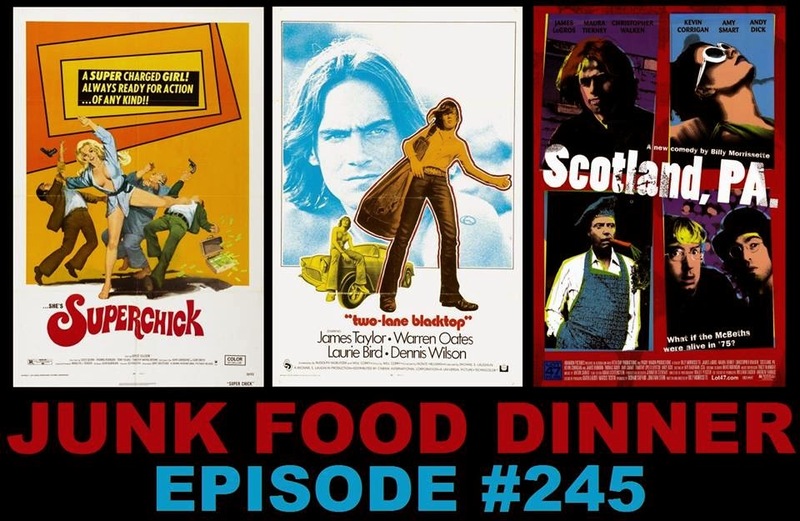 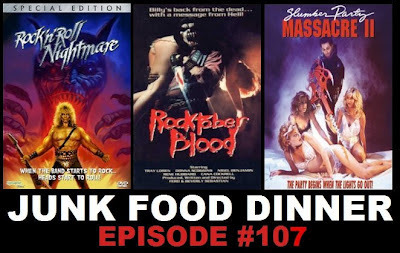 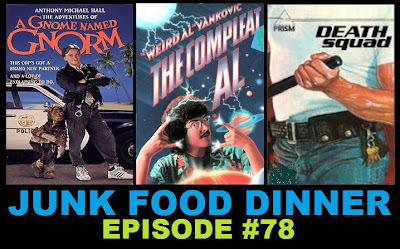 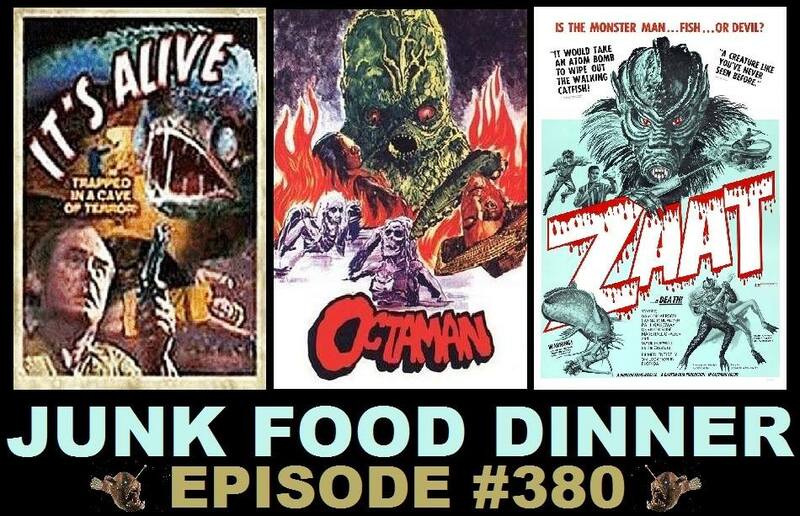 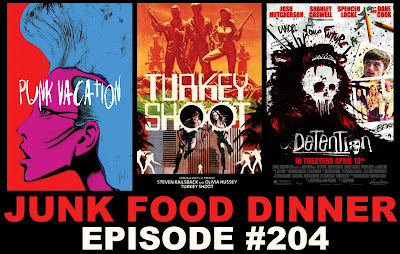 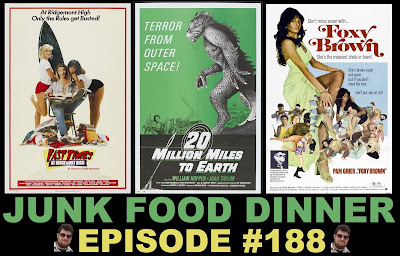 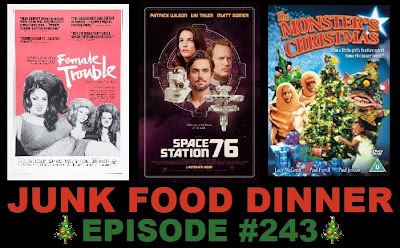 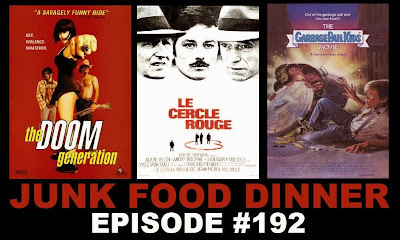 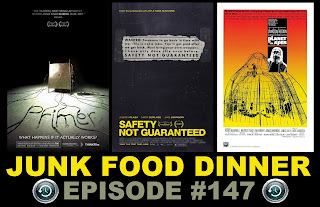 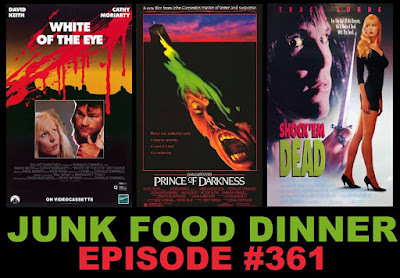 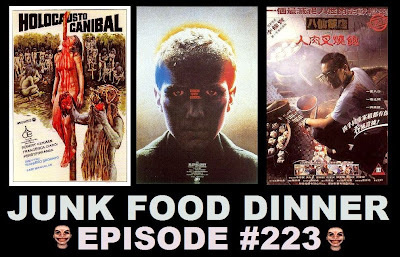 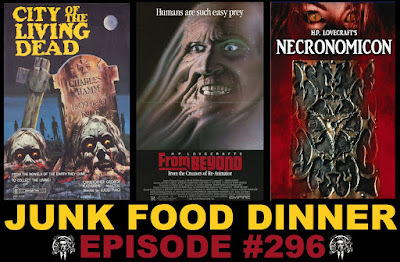 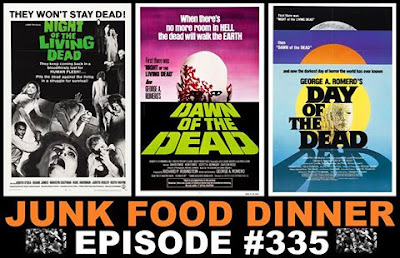 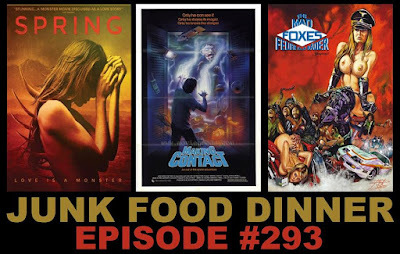 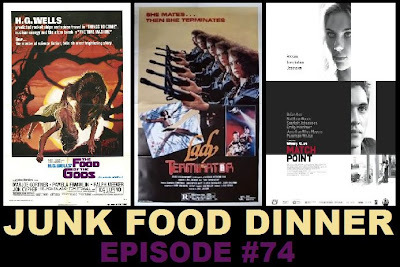 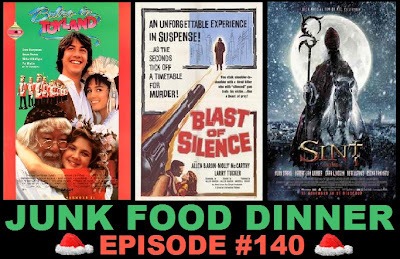 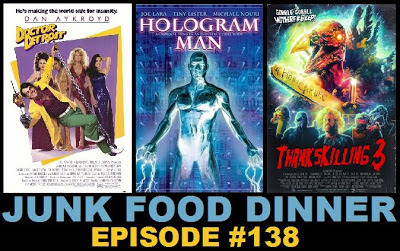 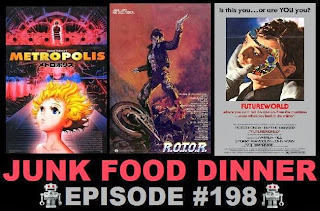 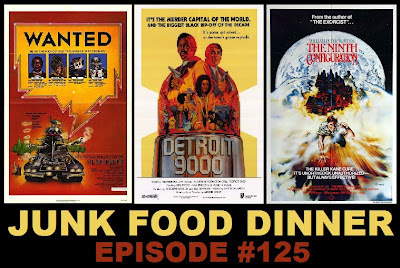 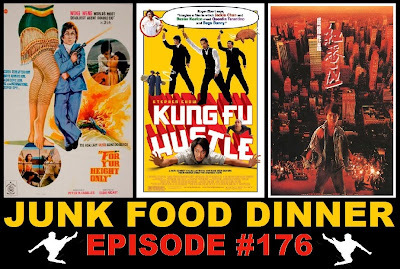 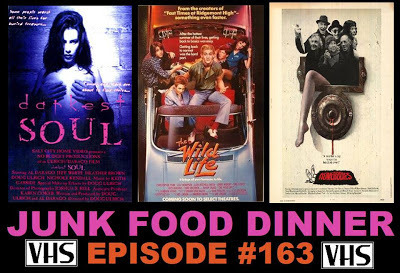 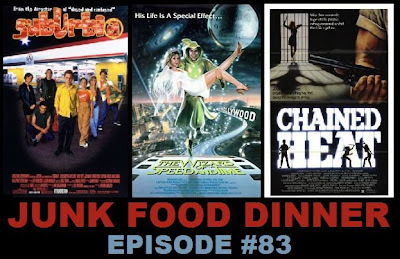 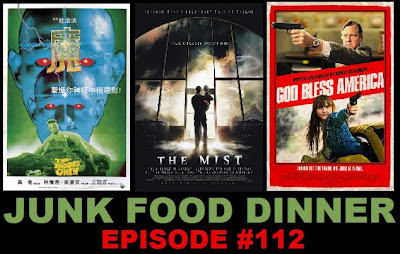 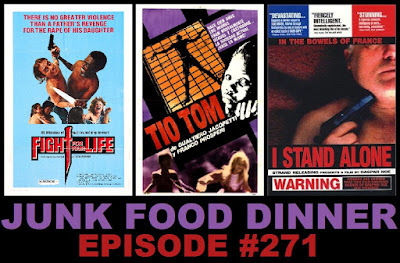 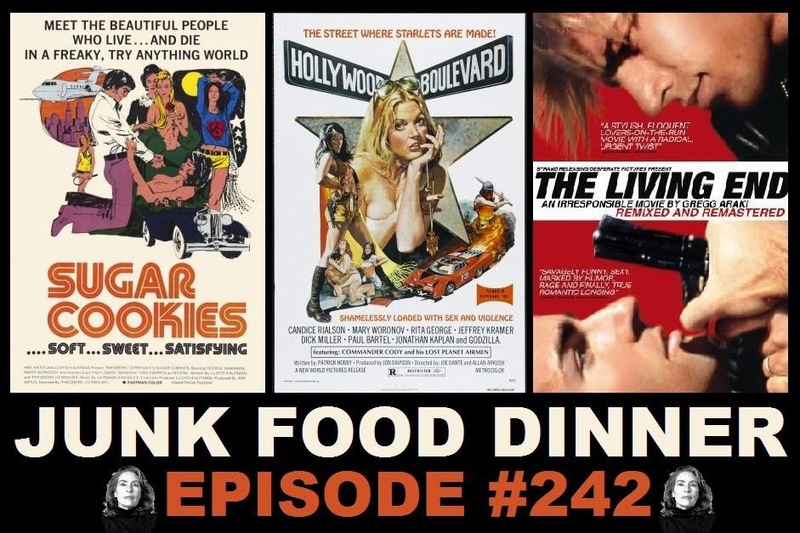 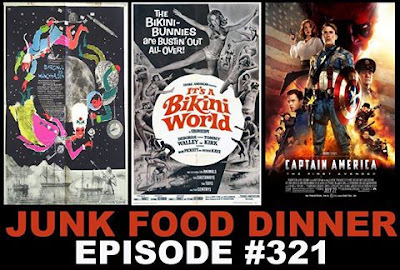 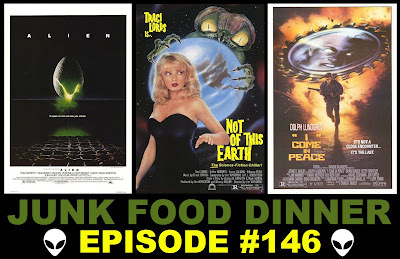 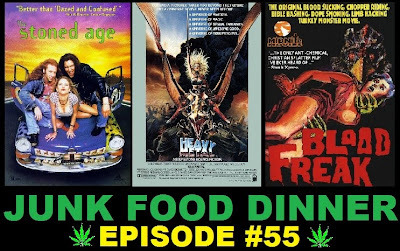 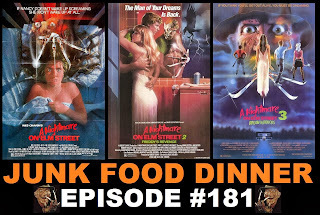 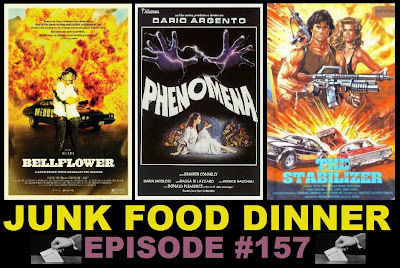 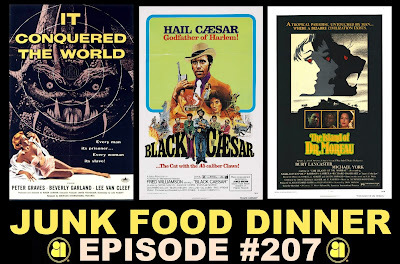 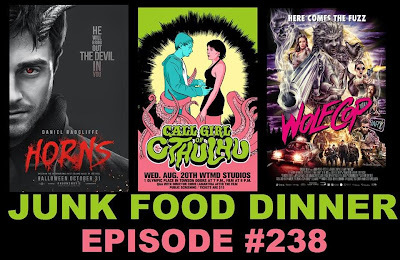 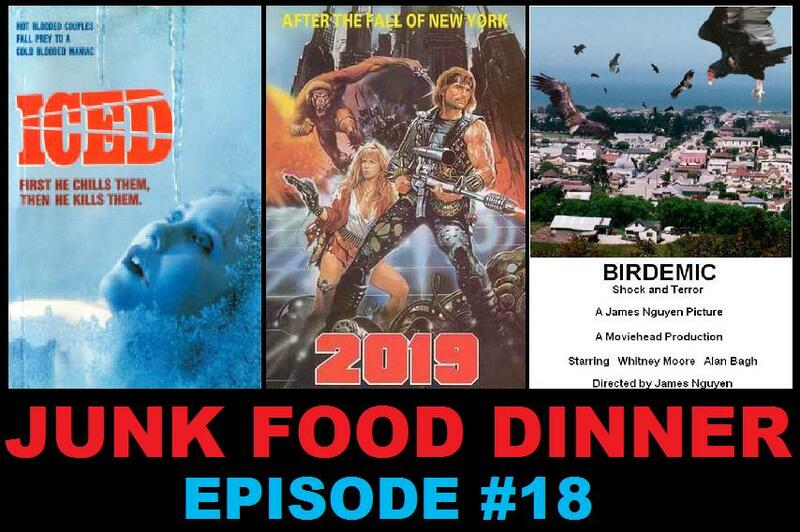 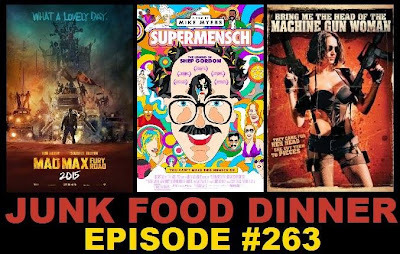 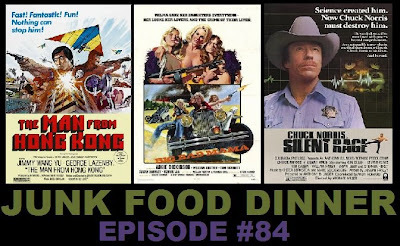 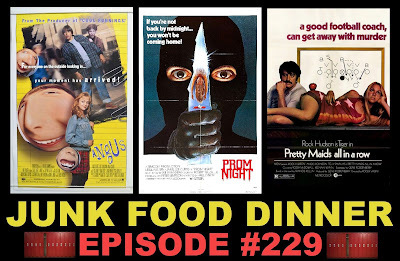 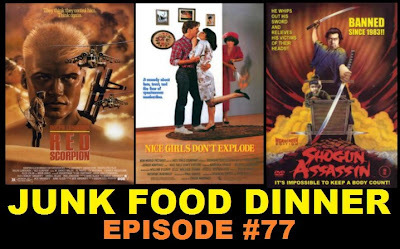 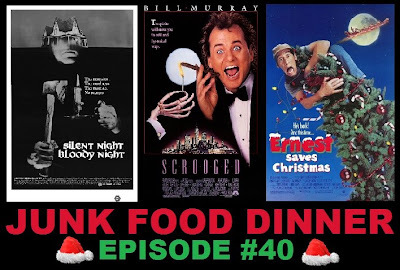 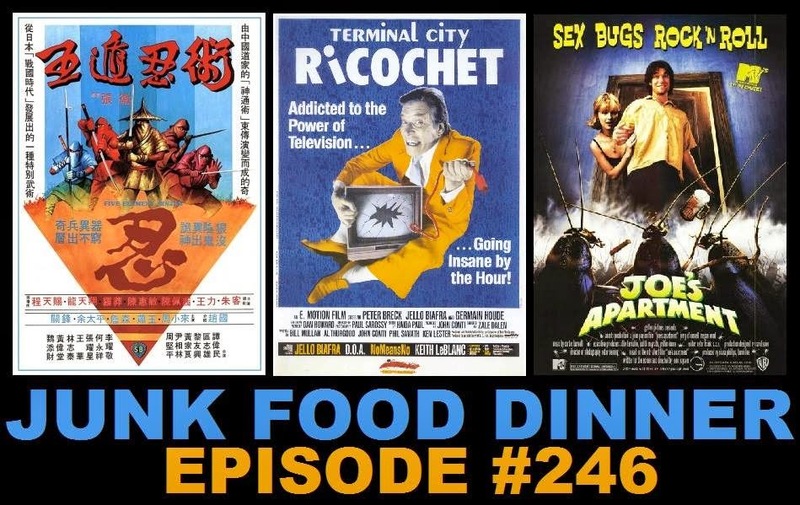 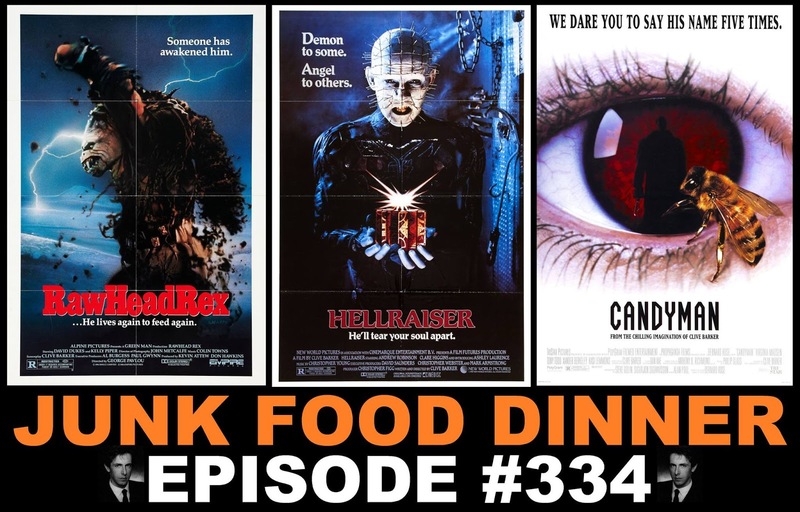 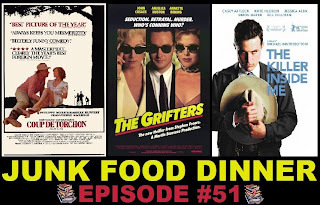 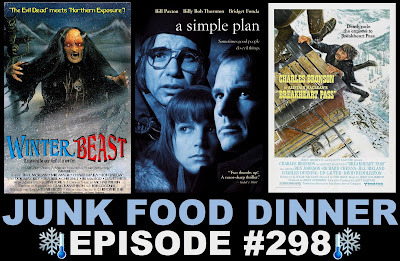 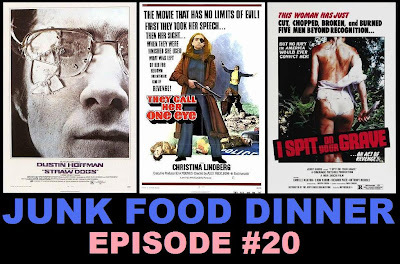 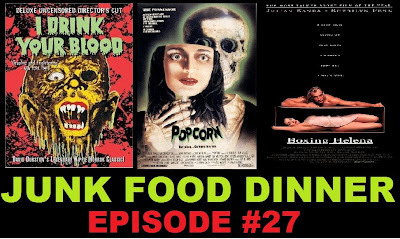 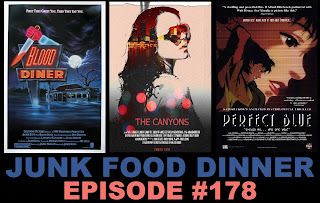 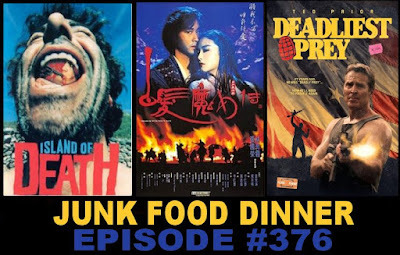 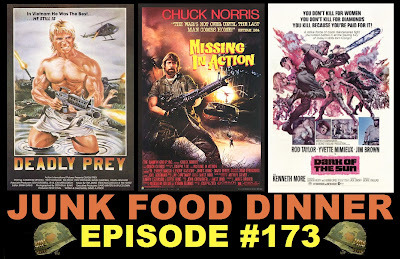 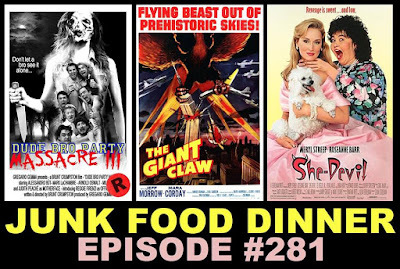 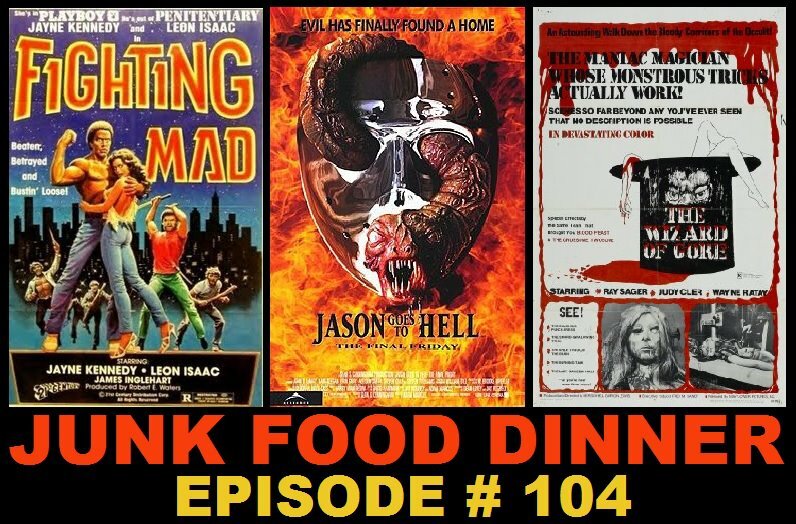 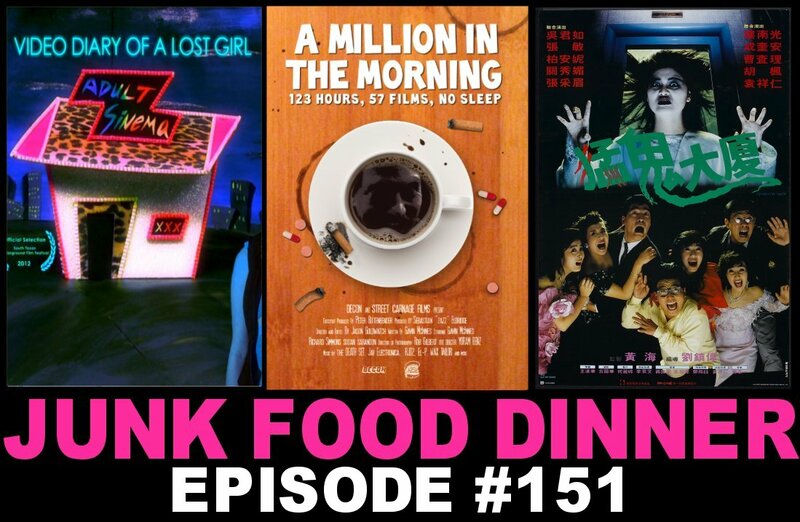 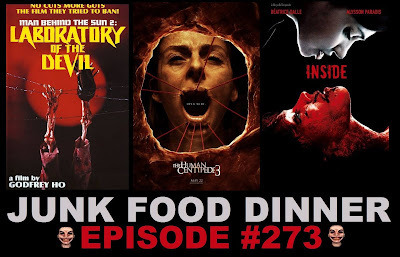 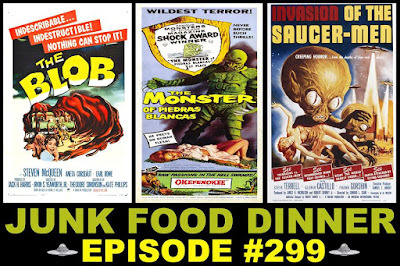 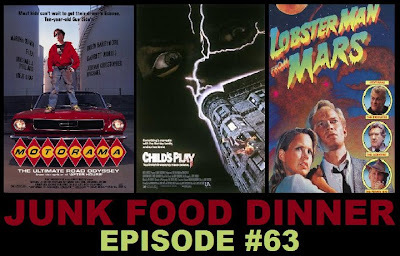 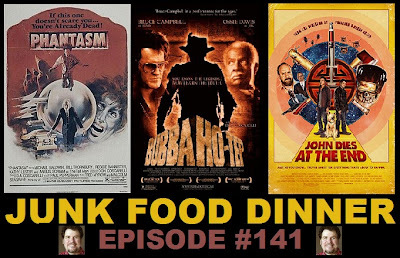 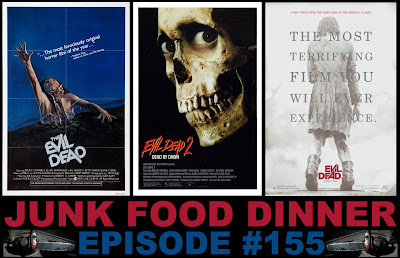 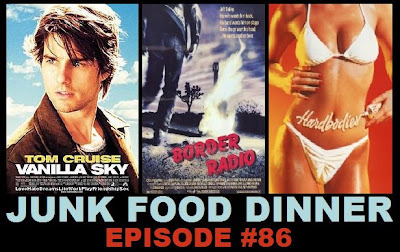 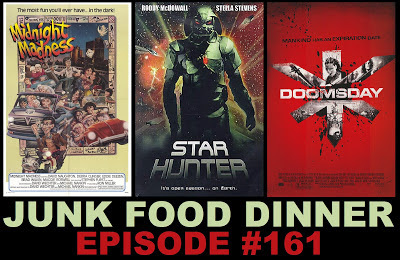 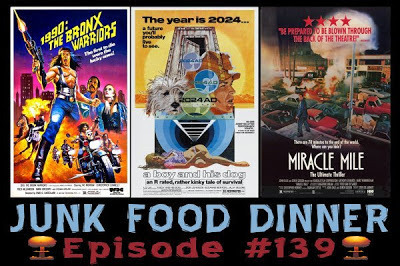 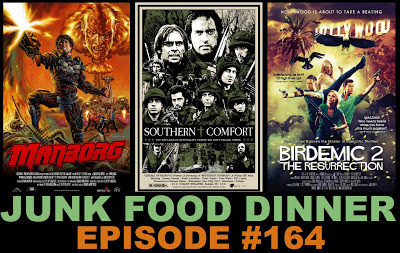 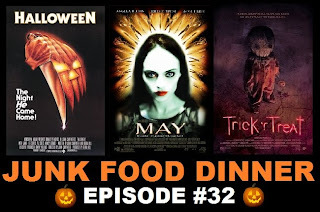 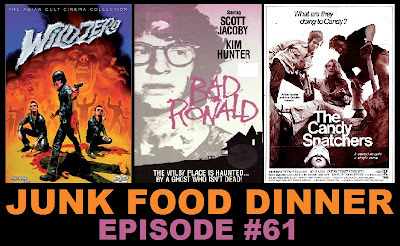 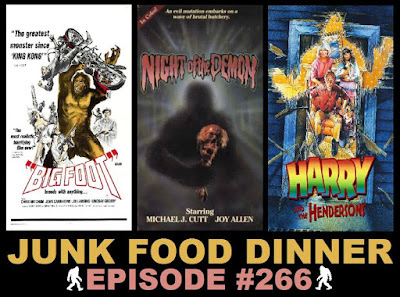 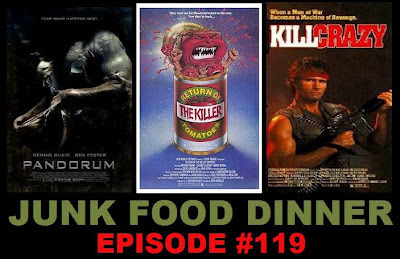 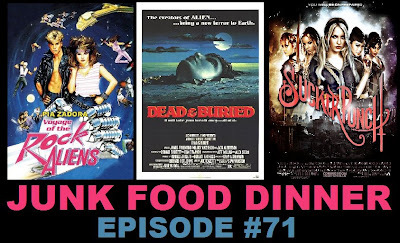 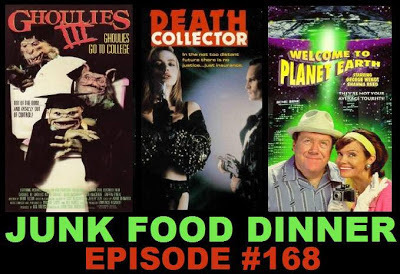 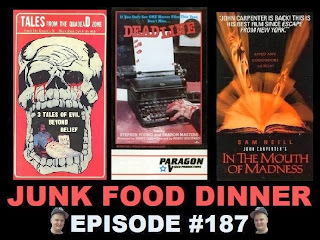 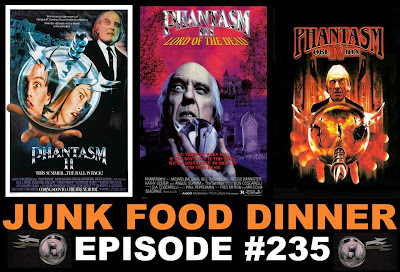 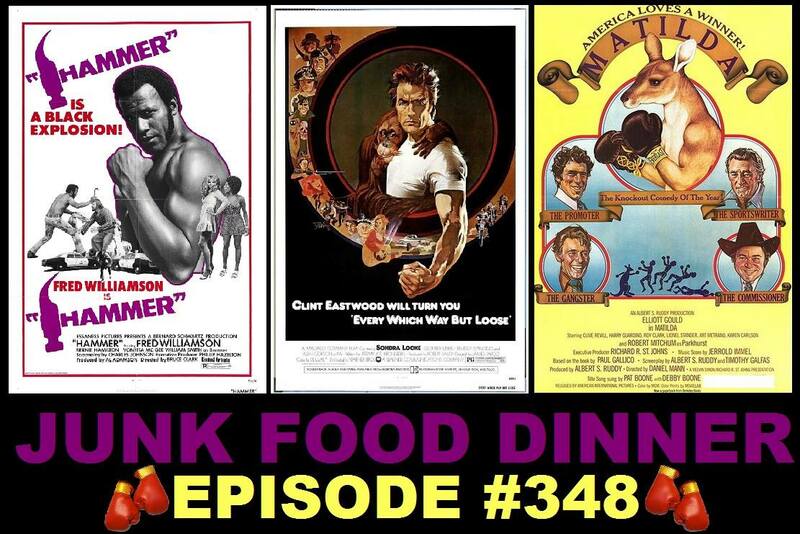 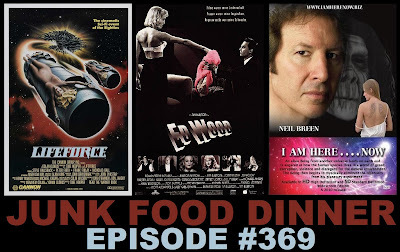 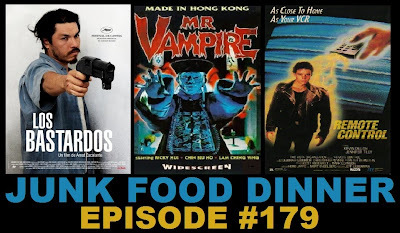 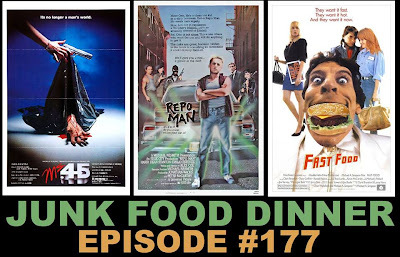 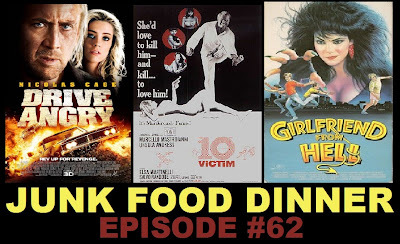 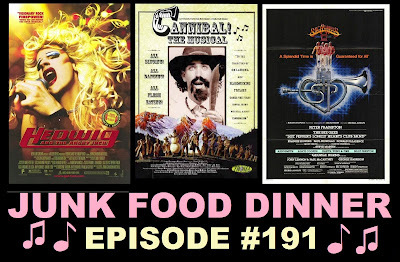 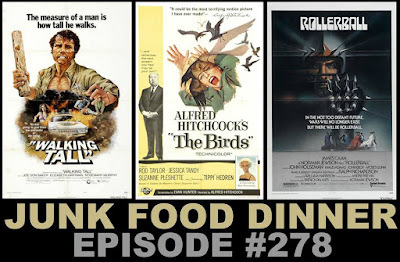 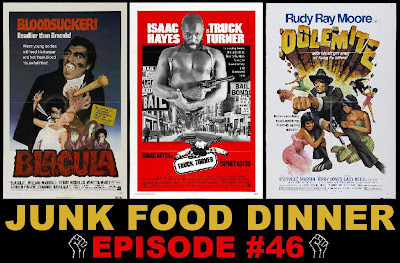 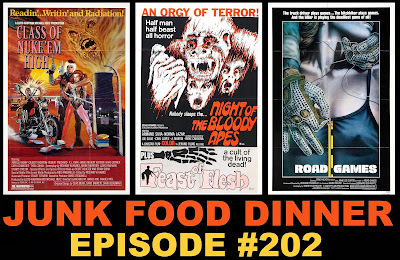 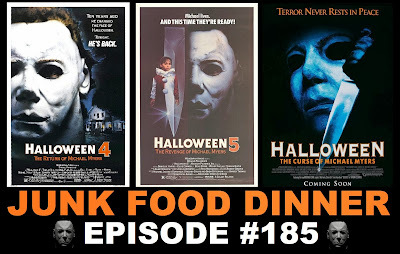 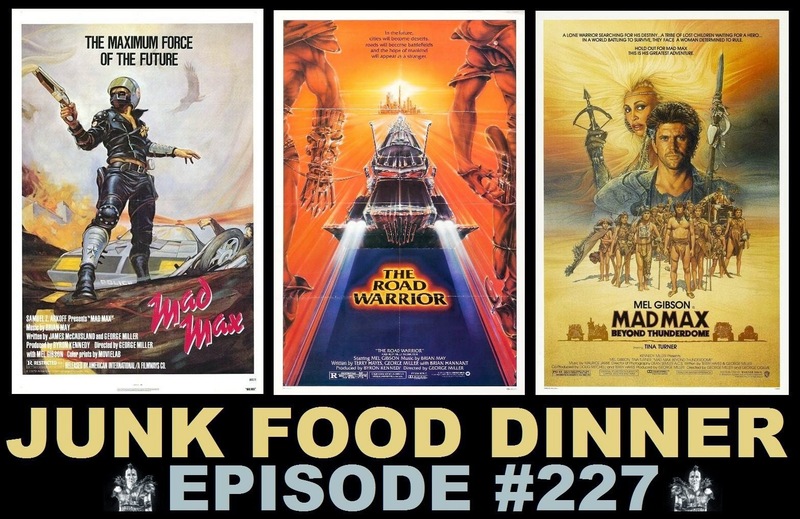 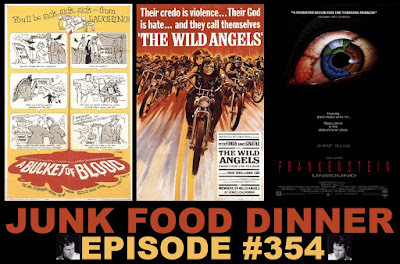 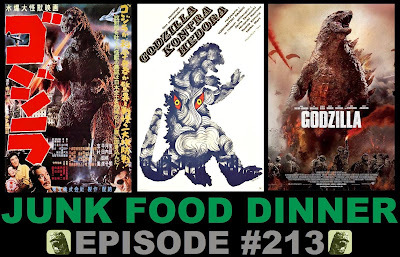 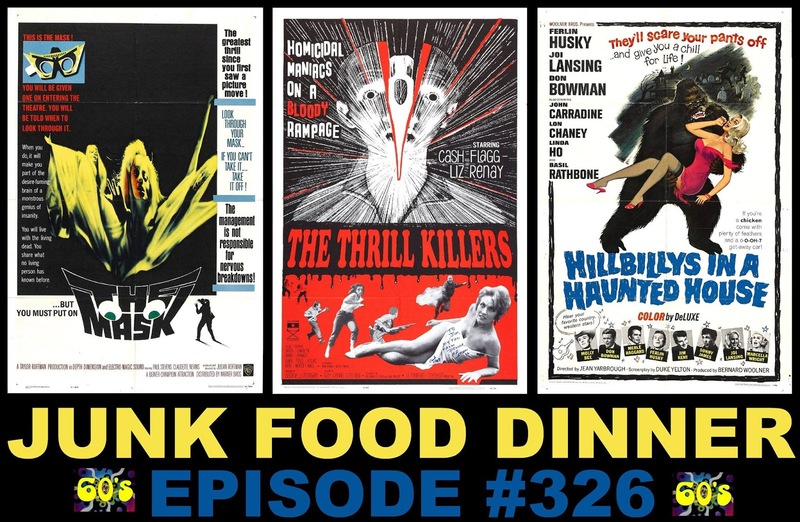 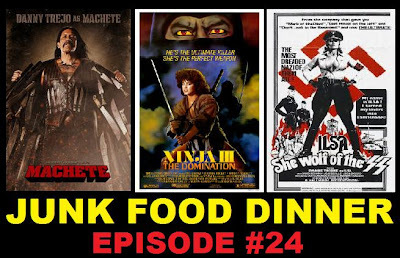 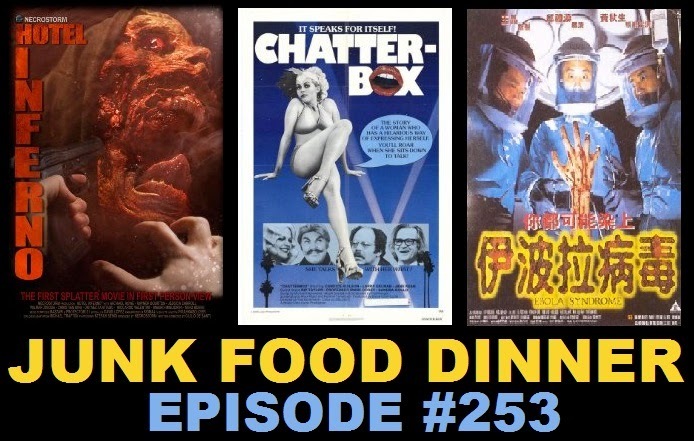 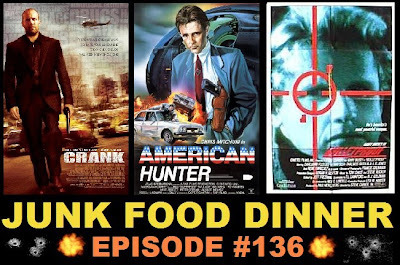 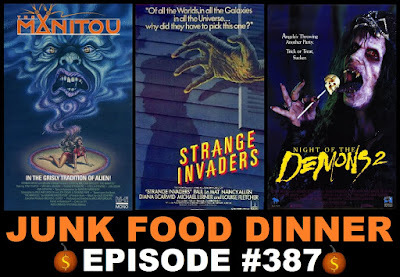 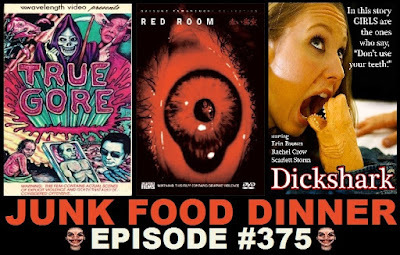 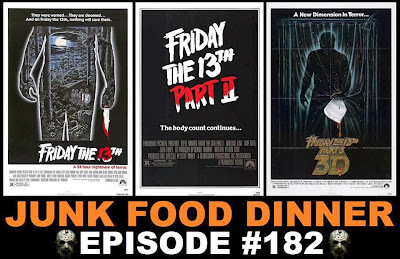 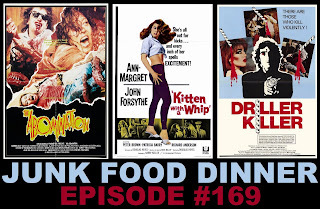 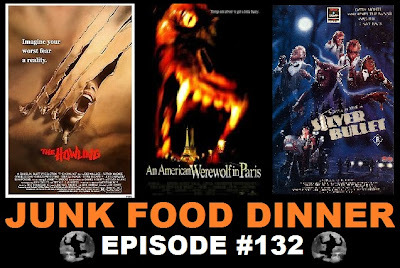 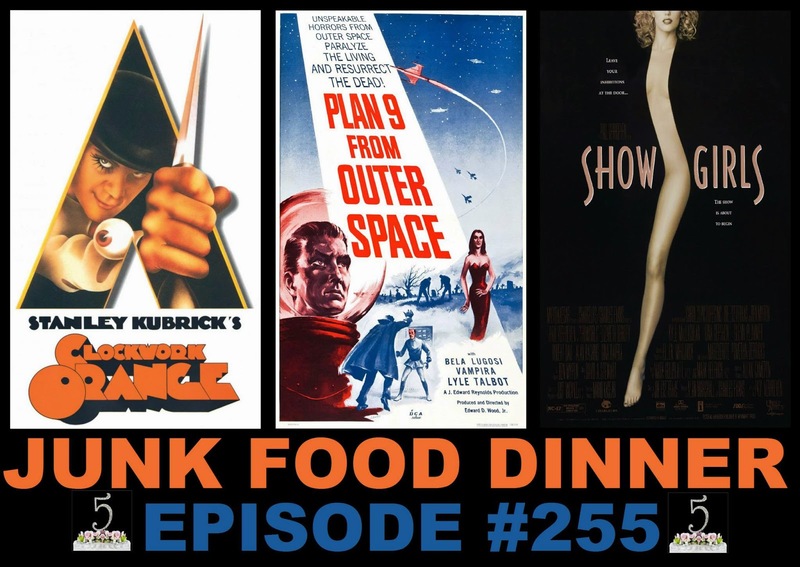 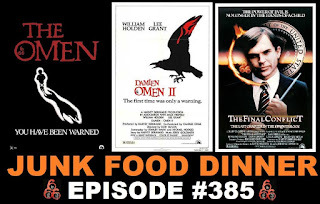 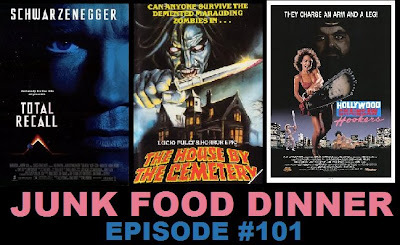 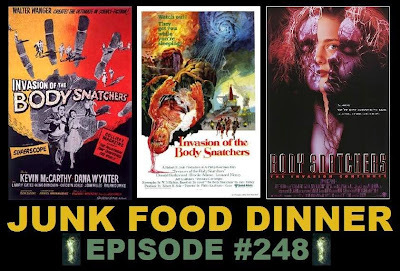 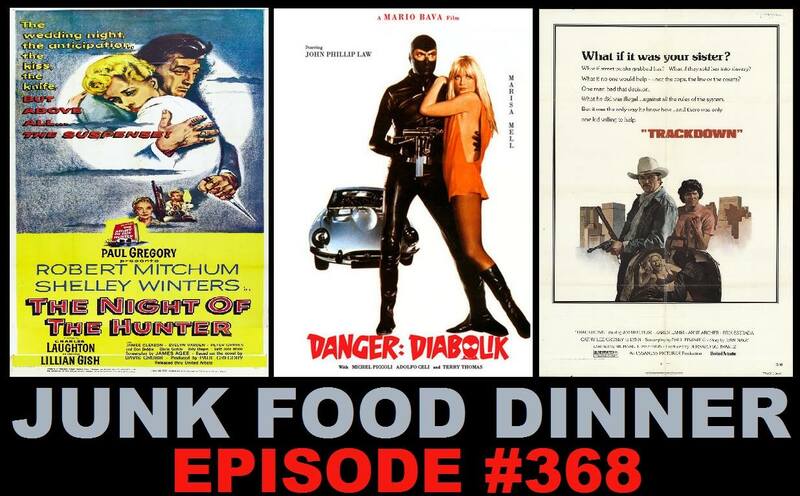 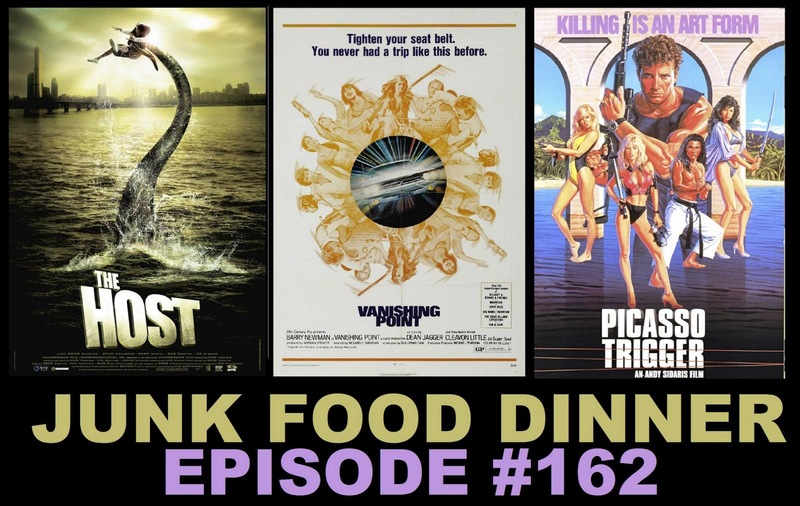 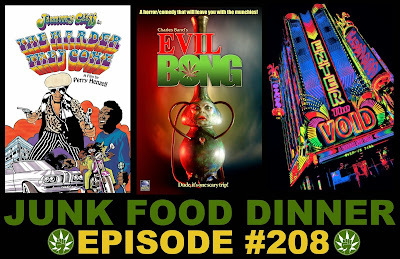 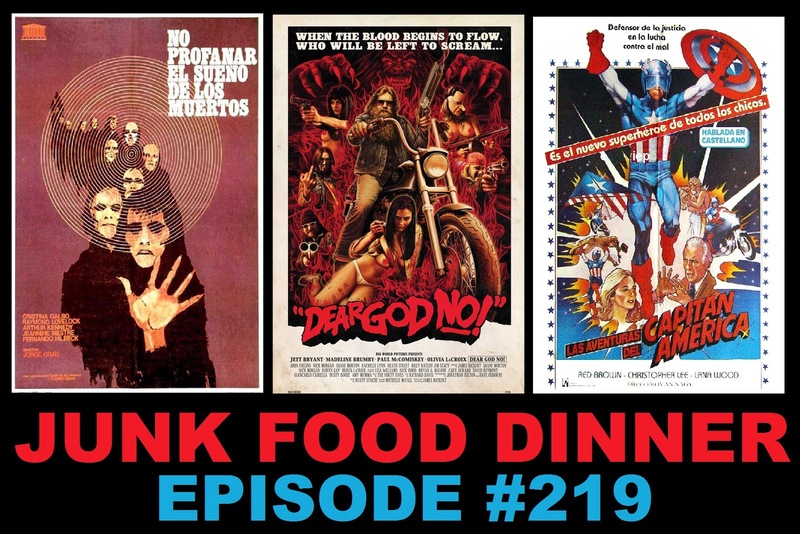 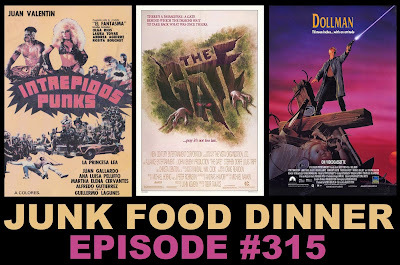 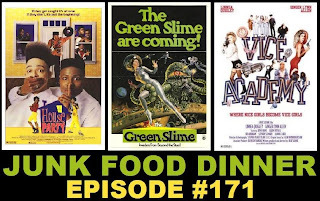 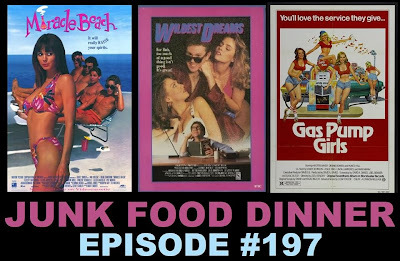 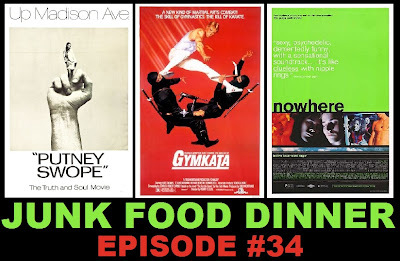 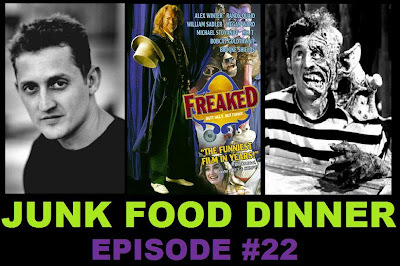 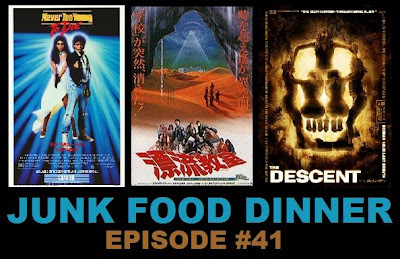 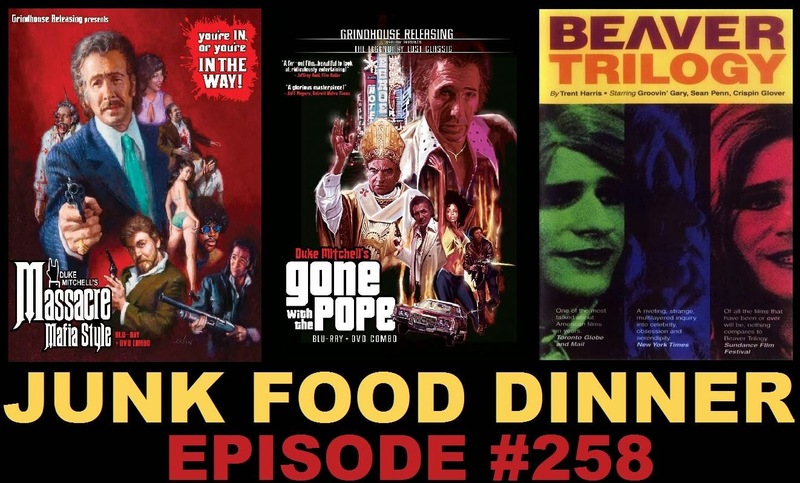 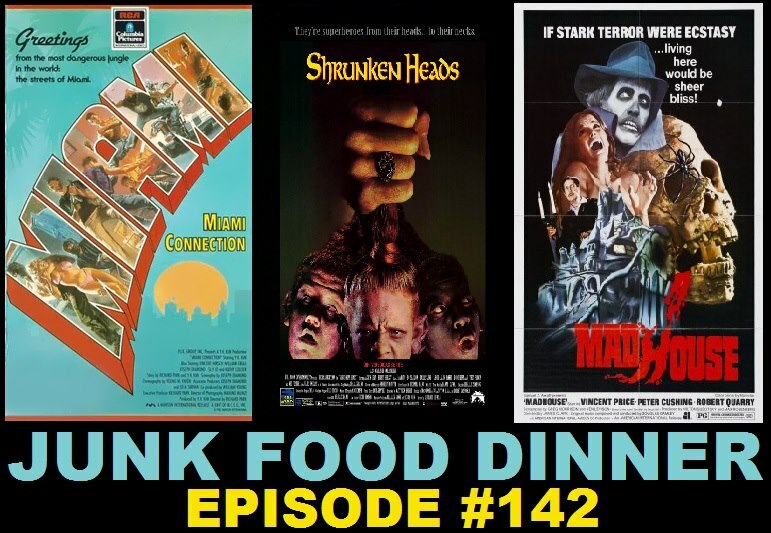 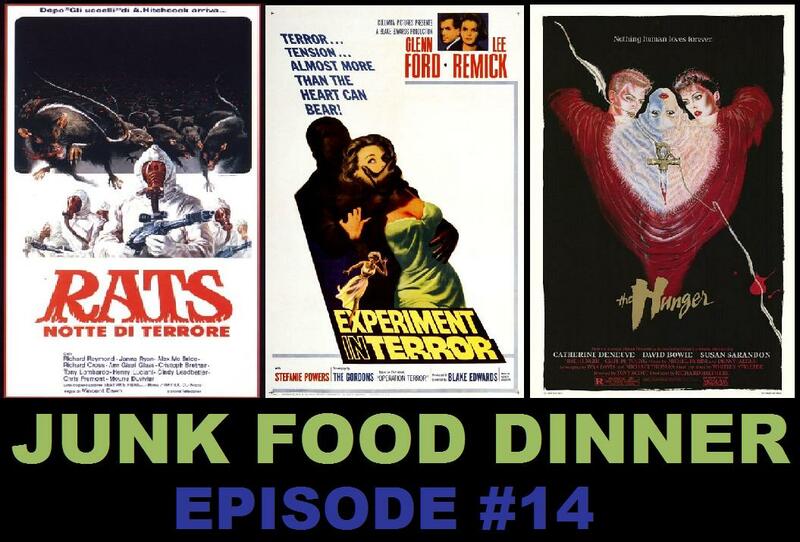 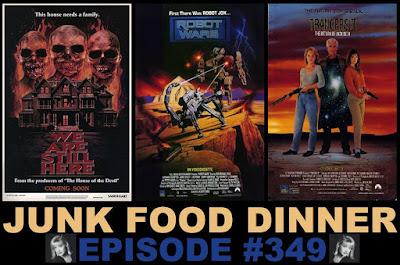 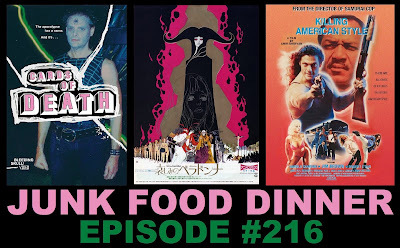 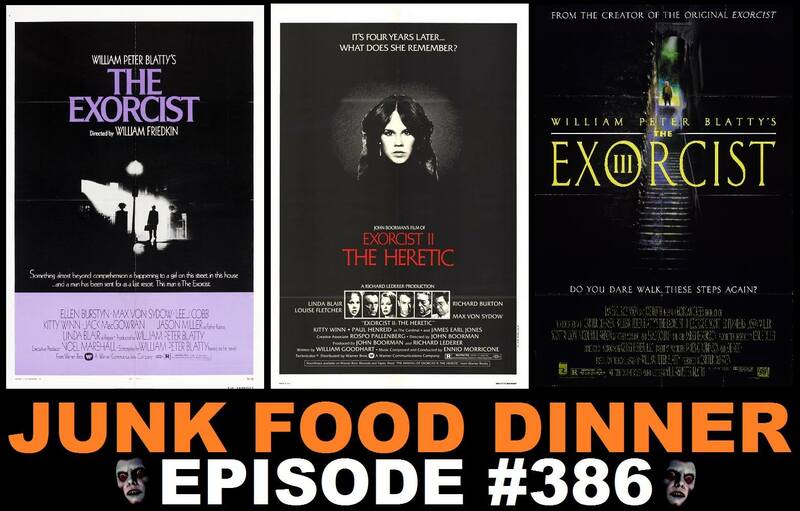 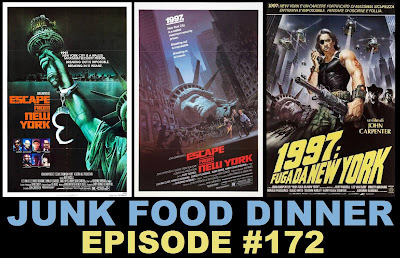 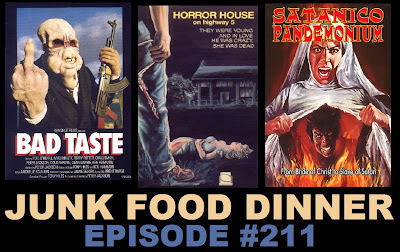 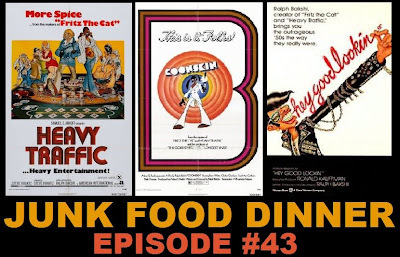 Finally, we get the munchies and scarf some bird so good we turn into a bible thumpin', dope smokin', mutant turkey in the weird one-off Blood Freak from 1972. 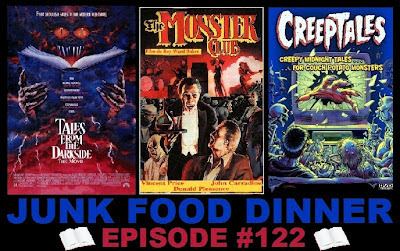 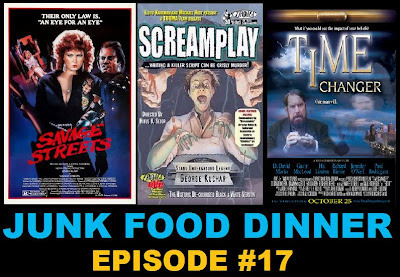 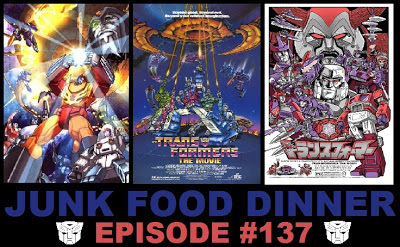 This is truly our most crescent fresh episode to date! 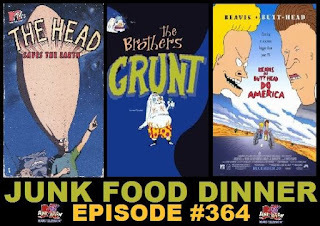 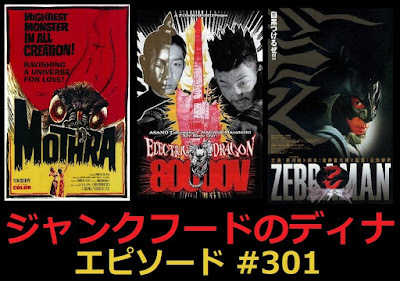 Please refrain from bogarting this episode, send it to one of your buds! 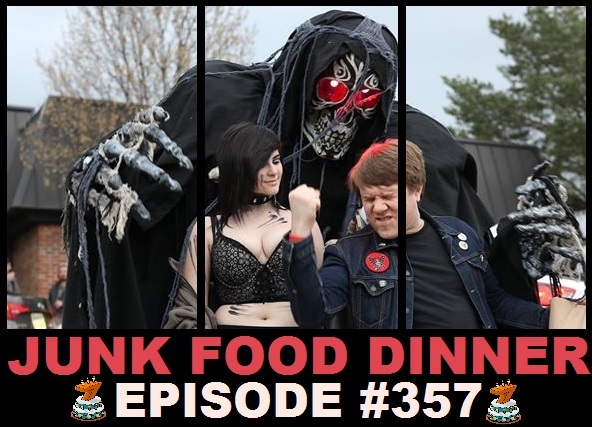 Side note: Don't worry, we think the idea of doing an episode like this is just as stupid as you do. 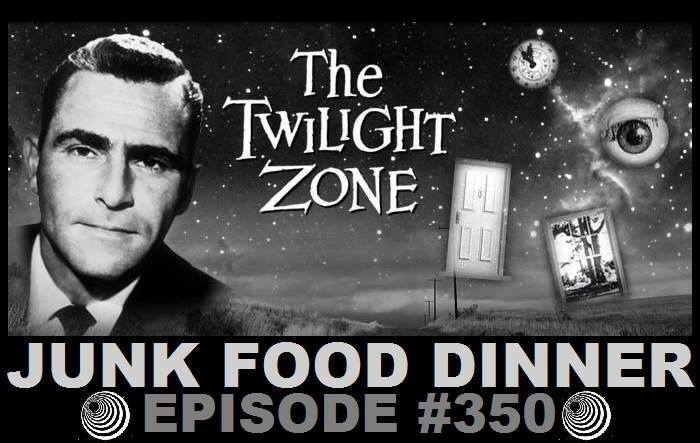 But, seriously, relax. 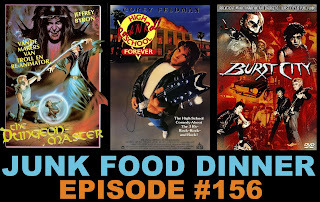 Also, if you like the show, (and why wouldn't you if you've come this far) please take a minute and subscribe and/or comment on us on iTunes, Blubrry or Podfeed.net. 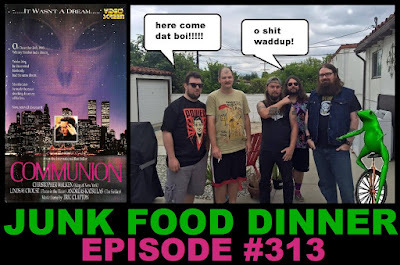 It'd be hella kind of you, brah. 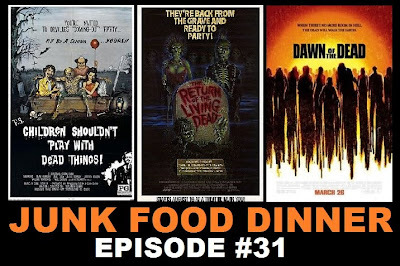 Thanks for helping out! 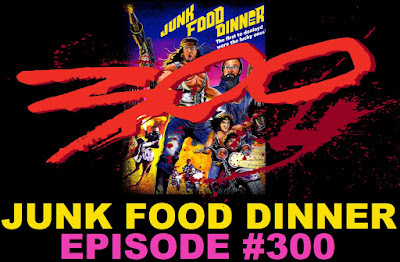 The listener who posed the question on twitter is super pysched to have gotten the answer. 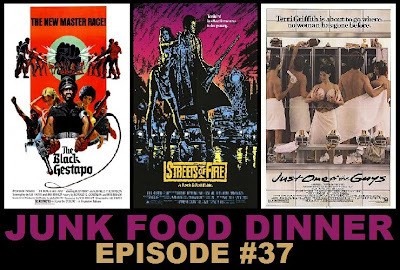 It's like that old African proverb, "It takes a village ... to help everyone find the cult movies they don't know the names of."